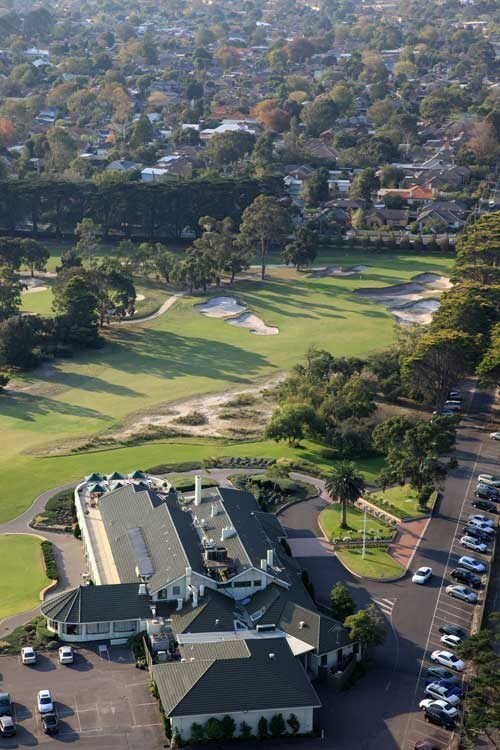 Home to Royal Melbourne, Kingston Heath, Metropolitan, Victoria, Yarra Yarra golf courses and more. Situated only 30 minutes from the heart of cosmopolitan Melbourne, the world's "most livable city". 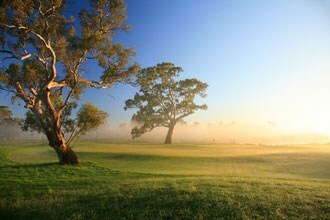 Helping you experience the best in Australia and New Zealand golf with golf on the best courses. 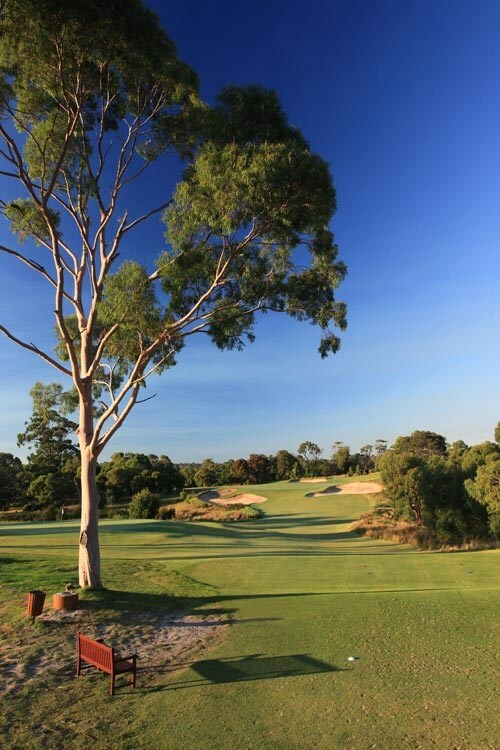 The Melbourne Sandbelt is a world renowned golf region comprising 15 quality golf courses located within 35 minutes of the Melbourne CBD. This package allows you to experience 5 of these courses spread over 6 nights, providing an extra day to sightsee and see all that Melbourne has to offer. 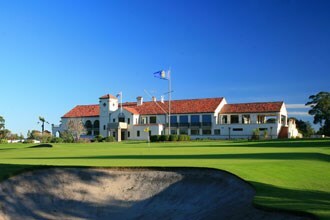 Play two magnificent Alex Russell classic Melbourne Sandbelt designs and enjoy 3 nights in Melbourne with return airport and golf transfers. 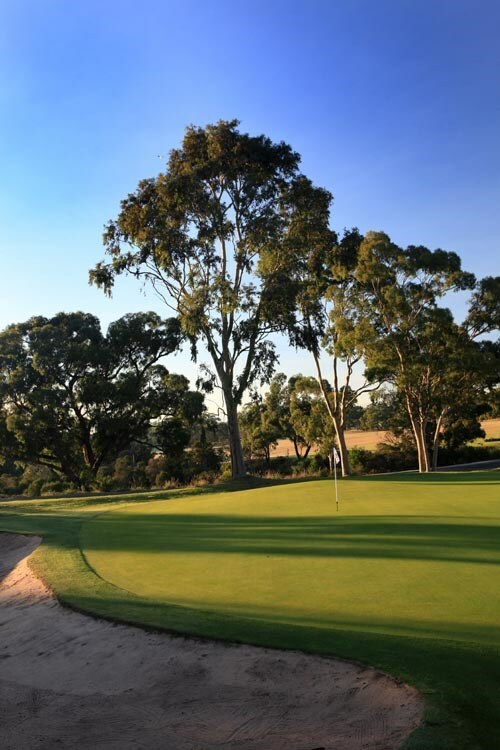 With a heritage dating back to 1920, Commonwealth Golf Club is revered for its magnificent, tree lined fairways, strategic bunkering and subtle sloping greens which call for accurate shot making and makes Commonwealth a true test for golfers of all abilities. The course was designed by club Captain Charles Lane, who learned his craft from the world renowned Alister Mackenzie and Harry Colt. The guiding principles were to create a visually interesting, engaging layout where bunkers and hazards were intended to encourage strategic play. All 18 greens were then re-designed in the mid 1930s under the guidance of administrator Sloan Morpeth who determined that no two greens be the same in shape and design. The course remains true to these principles today. 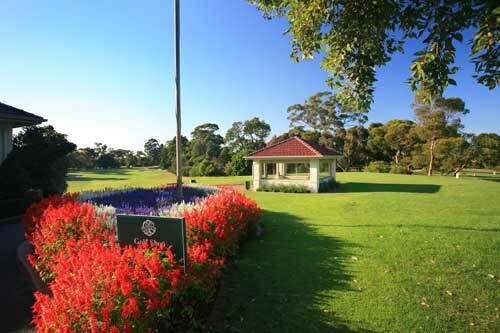 With a heritage dating back to 1920, Commonwealth Golf Club is revered for its magnificent, tree lined fairways, strategic bunkering and subtle sloping greens which call for accurate shot making and makes Commonwealth a true test for golfers of all abilities. The course was designed by club Captain Charles Lane, who learned his craft from the world renowned Alister Mackenzie and Harry Colt. The guiding principles were to create a visually interesting, engaging layout where bunkers and hazards were intended to encourage strategic play. All 18 greens were then re-designed in the mid 1930s under the guidance of administrator Sloan Morpeth who determined that no two greens be the same in shape and design. The course remains true to these principles today. The 16th hole is the epitome of Commonwealth golf. From the elevated tee the long hitter surveys a classic ‘risk versus reward’ challenge with the heroic carry over the corner of the lake, presenting a real opportunity. A successful shot over the corner of the lake might yield a nine iron pitch and a birdie opportunity. It might also yield a watery grave for the ball pulled or drawn a little too far left! The sloping green presents a very difficult target from the wide open spaces of the right hand side of the fairway with the right hand green side bunker to be carried and a steep slope running off the left hand side of the green. A great finishing hole played under the eyes of the elevated clubhouse. This challenging final hole needs a driver to the left side of the fairway to set up the best angle for a mid-iron into the green. Driving accuracy is paramount here with a drive in the centre or to the right of the fairway resulting in a second shot that must carry some or all of the right hand greenside bunker. A pull to the left will finish in difficult rough or, in the worst case, in deep fairway bunkers where you may find it hard to reach the green in two. A strategic short par three, which is heavily bunkered and where pin placement determines the club and shot required. Common pin placements are short left-centre – just over the front bunker, and back right or back centre. Land too close to the left edge and the ball will run off the green and down the steeply sloping surrounds; The green is situated at the highest point on the course and ball flight can be significantly influenced by wind which may not be noticeable on the relatively sheltered tee. A classic opening hole, it is seen to preview perfectly the style, quality and beauty of the course, and at only 303m, it provides a comfortable start to the round. Its key strategic feature is the decision required for the first shot of the day. Whether to be short and safe or to fly as much sand as possible for the simpler approach. 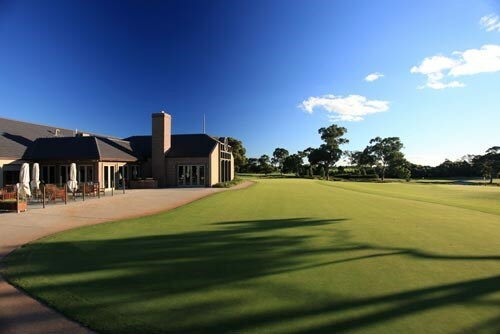 From the clubhouse at days end, enjoy the view of one of Melbourne's finest golfing landscapes, and contemplate on your earlier tee shot decision. The view from the tee sets the scene for the typical Commonwealth tree-lined hole, with an inviting fairway and strategically placed hazards. After a good drive care must be taken to keep the second shot on the fairway, thus avoiding the intrusions of the rough on the left and the sand on the right. Although the third shot to the small multi-level green should be with a short iron, a cavernous bunker at the front right or the prospect of a very tricky chip for those who miss on the left, fills the mind with uncertainty. For the very long hitters, the second shot to the small opening of the green requires great accuracy. At 390m it is the first of the long par 4 holes. Played to the north, it is generally influenced by the prevailing winds, while other hazards include the extensive left side fairway bunkers and the natural lake on the right. Thus the penalty for missing this fairway is severe. The second shot to the green can be played through a narrow opening with the right side bunker encroaching at the front. A bold approach shot is required to make the green. The bunkers on both sides of the sloping green provide no easy recovery prospect for an errant approach. It is a hole to enjoy and a par is good golf. While not long it is a hole of decision. Drive safely down the left side of the fairway and play your second across a dangerous bunker to a green sloping left to right. Or, make a positive drive over the corner bunker and gain the reward of a more straightforward shot in. You stand up to your second shot knowing that any shot at the green can be caught by the dip just short directing the ball left, and an up-and-down from the greenside bunker to a green sloping sharply away from you is rare. Even so the bunker acts as if it were a magnet. While birdie 3 appears possible par is a good result. Picturesque from the elevated tee this hole rewards those who can finish close to the right side fairway bunker providing a good view of the green for the second shot. Drive to the left side and the illusory bunker short of the green creates deception in distance and the left greenside bunkers seem to attract the second shot. The choice of club for the second shot needs to be precise. Those landing short pull up quickly leaving a long putt over the hump in the green, those hitting on the back half of the green often run down the slope and through the green leaving a delicate chip to secure par. 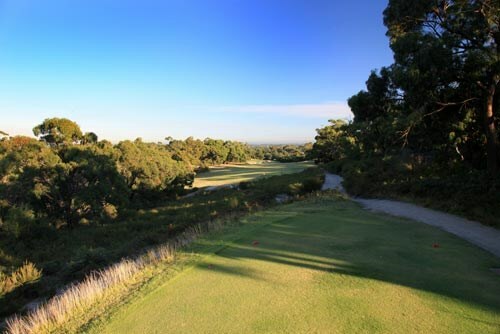 At 531m this genuine three-shot par 5 is considered one of Melbourne's best and hardest, particularly into a southerly wind. Driving on to the sloping fairway is vital and the second shot is best long and down the right side of the fairway. This position offers the best approach to the long narrow and sharply sloping green set at an angle to the fairway. Anywhere left with your second shot brings the greenside bunkers very much into play. Then if your approach is short or right, you risk falling back off the green. An up-and-down from the greenside bunkers requires great skill. Even avoiding the ball running off the other side of the green requires a good shot. Par is an excellent score and birdies are rare. The longest of the par 3s has a generous green heavily bunkered left. This hole is a challenge to the player with lengthy carry who can put stop on the ball. A pin position in the front half of the green offers an easier tee shot, while the pin position anywhere in the back half of the green brings all the sand into play. Because of the hole's orientation the often south-westerly or north-westerly winds can make this hole very long. Par is a good result. Many club members consider this hole one of their favourites. The walk to the tee, the tee outlook and the green landscape are all attractive features. The fairway bunker is located adjacent to the ideal position from the tee and the fairway narrows in this area. Right side play requires an approach to an elevated two-tiered green over an extensive array of sand. Not easy and prospects are poor for an-up-and down from any of the greenside bunkers. Again, the fairway is a must from the tee and club selection for your second merits extra consideration. Despite its short length a testing hole with a green sloping sharply right to left and back to front. A tee shot on the green is very desirable, as an up-and-down from the right side bunkers generally requires a minor miracle and the danger is, hit too far left to avoid these bunkers and risk rolling off the left down the steep slope into rough leaving a tough chip. Prevailing winds make club selection important. An extra club is recommended to reach a pin placement in the back half of the green otherwise a long first putt uphill will be needed. Finish above the hole to a forward pin placement and be faced with a very slick downhill first putt. On this dog leg par 5 it is important to get the tee shot on the fairway. Too far left will mean the second shot is cut off from a direct line to the green while on the right, sand awaits. From the drive, the fairway slopes down to provide a good overview of the remainder of the hole. This features a lot of sand in the approach area and a playing decision is required whether to charge with a long shot or to lay up short. At 38m the green is the longest on the course so club choice for the third shot varies widely according to pin placement. Arguably the toughest par 4 on the course. The bunkers on the right hand corner of the fairway tempt you and a very well hit drive will clear these and leave a short iron approach. A long drive hit left will end up in the rough and a chip out at best. At almost the highest point of the course one can see down the full length of the 12th and 7th holes. Be wary when lining up the tee shot as the tee points slightly to the right to a fairway bunker over 50m long. The fairway bunker on the left is out of range for all but the longest hitters so it provides an ideal line to aim the tee shot for most players. Choose the second shot club carefully as there is a deceptive dip in front of the green likely to confuse one's judgment. This is a birdie hole if you can get your drive away. At 444 metres it is often hit in two by the long hitters but the key issue to hit a straight drive. If you end up in the trees or bunkers then a bogey is more than likely the outcome. This is a fairly straightforward hole of moderate length which shapes gently to the right. 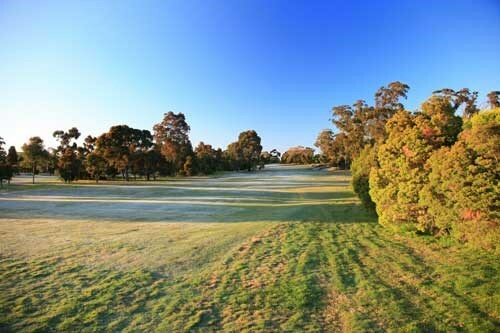 The only trouble is a few gum trees on the left side of the fairway which can block the second shot. A grand display of sand at its front means the only option is to fly to the green on this picturesque 147m hole. While there are no bunkers at the rear this area is only slightly more agreeable than the front as the ground falls sharply away from the rear and both sides of the green. The sloping green allows for a variety of putts depending on the pin position. The prudent playing strategy is to club yourself to comfortably clear the front bunkers and make it to the centre of the green. Birdies await the accurate tee shot but par is a more likely result. As you stand on this tee the thought which invariably goes through your mind is not to hit the ball in the water. The water in question is a large pond running down the whole left hand side of the fairway. Bite off more than you can chew and a double bogey will be your best result. The approach is easiest when played as close to the pond as possible but more often than not the drive is pushed right away from the pond. This is a great short drive and pitch hole. The drive needs to be sufficiently long to see the green as a blind approach shot is very difficult. Treat the approach with respect because if the green is missed right or left a very difficult chip awaits. A challenging finishing hole. Drive down the left side of the fairway and enjoy a safer more direct second shot into the well-bunkered green. But a little further left and a much more difficult shot from the rough is required while also having to contend with the Banksia tree on the corner. Drive down the right side, and the opening to the green for the longer iron second suddenly appears much narrower between the huge bunker complex on the right of the green, and the likelihood that a second shot left will feed into the left side bunkers. Recognize that any shots played from past the dogleg corner will be under watchful eyes from the bar or from diners on the enclosed balcony. Par here, no matter how the rest of the round has gone, is a very satisfying result. 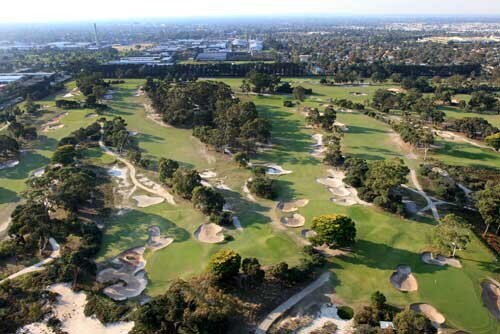 Huntingdale is a private members course located in the middle of the world famous Melbourne Sandbelt. 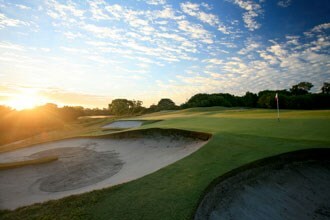 It was the host of the Australian Masters for 30 years and has hosted the world's best golfers. 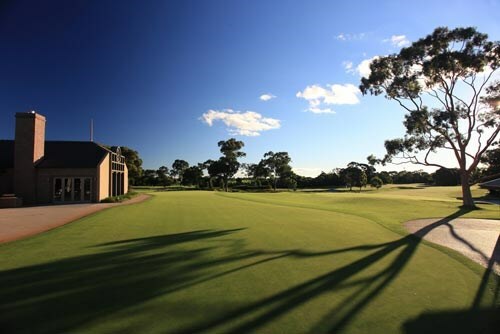 Huntingdale Golf Club, located in the heart of Melbourne's world famous 'sandbelt' region is one of Australia's most prestigious private golf courses. 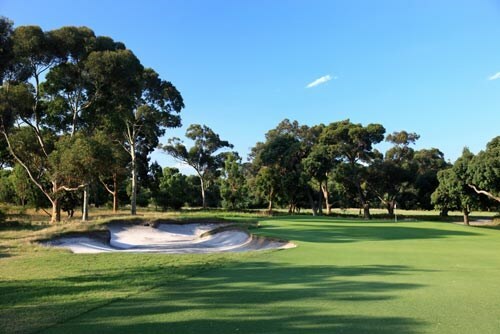 Rising to fame in 1979 with the inaugural hosting of The Australian Masters, Huntingdale has emerged as one of the most recognisable golf courses in Australia, and the world. 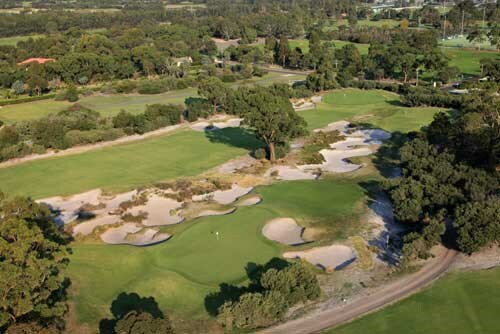 Since 1979, Huntingdale has played host to some of the most famous names in world golf, including Jack Nicklaus, Arnold Palmer, Seve Ballesteros, Greg Norman, Nick Faldo, Geoff Ogilvy and Tiger Woods. 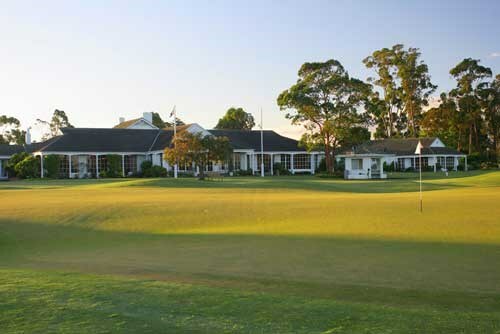 In 2008 Huntingdale celebrated the 30th consecutive year of hosting the Australian Masters and was justifiably recognised as 'Home of the Australian Masters'. 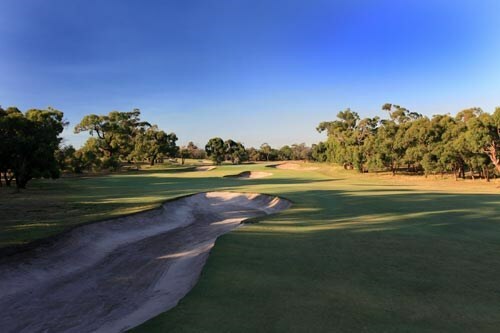 Consistently rated as one of the best golf courses in Australia, Huntingdale greets players with superbly manicured fairways, strategic fairway bunkering and large undulating greens. This combination of features at Huntingdale ensures this course challenges the best professionals and the latest technology. 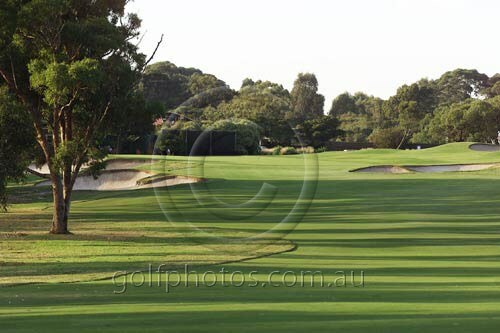 The greens at Huntingdale are true and fast and are generally kept in "Masters" condition throughout the year. Players hitting wayward shots to the far side of the greens can anticipate long undulating putts. The final stretch of holes contain some of the toughest and finest finishing holes in the world. 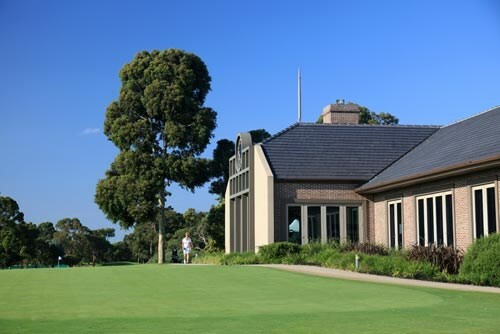 As well as our Championship Golf Course, Huntingdale Golf Club offers superb facilities including a number of different functions rooms, all with picturesque views of the course and surrounding gardens. Our function rooms range from a relaxed terrace, perfect for an intimate private function to the Members Dining Room, complete with wireless internet access, built in data projector, drop down presentation screen and with a capacity of 160 - perfect for your next business seminar or meeting. A really crucial opening hole. Obviously you want to get off to a good start. Take a driver from the first tee and on a calm day this leaves me some 150 metres with a 7 iron second shot uphill. Keep to the right half of the green to avoid the bunkers on the left from which any shot is a difficult one. A 2 iron or rescue club off the tee favouring the left half of the fairway because you can be sure of getting around the corner, followed by a full wedge or easy 9 iron to the green which is surrounded by rebuilt and effective greenside bunkers. The green has also been rebuilt with interesting slopes and undulations. This two tier green is surrounded by deep bunkers, a straight shot is required with a mid to long iron from the tee. The fairway bunkers on the left, and the trees on the right, call for an accurate tee shot. The wide green offers variation to pin placements. The right side of the green is well guarded by bunkers while the left side is open for golfers wishing to play safely. This long par 3 slightly uphill demands accuracy with most good players using a long iron. The three tier green adds interest to putting and the greenside bunkers have this green well guarded. Driver down the left side of the fairway is the correct strategy on this long sweeping par 5. Longer hitters looking for the green in 2 shots must be sure to stay out of the fairway bunker on the right side of the fairway as a mid to short iron will be required to safely clear the front lip of the trap. Position on this hole is everything. You feel like you've dropped a shot if you have to settle for a par. Take a driver from the tee, which usually leaves a 3 or 4 iron to the green. Take on the hole with driver and leave yourself a small wedge in, or take the safe route and hit rescue or an iron from the tee. Either way, stick to the right half of the fairway and avoid the fairway bunker. Take careful note of the pin position so as not leave yourself an impossible putt on a very difficult green. One of the toughest holes on the course. With no wind take a driver or 3 wood from the tee which leaves a 7 or 8 iron to the green. Once again the centre of the green is the target. Like the 7th, I feel a 5 here is a bogey. A good drive, skirting the fairway bunker, leaves a 2 or 3 iron to the green where you tend to aim front right. There is less trouble in that right hand corner. A drawn tee shot runs past the traps on the right leaving an 8 iron approach which must carry the left-hand traps. Also one of the most difficult greens to putt.Most players would cheerfully take 4 here every time. Aim for the centre of the green on this deeply bunkered par 3 as the green is long and narrow. Club selection can vary from 4 iron to 8 iron depending on tee location and wind direction. Play to a position in front of the first bunker on the right side of the fairway to eliminate the potential score blowouts that can arise from a encounter with the water hazard. From here use a mid iron to approach to a green that is angled away from the fairway and surrounded on both sides by very deep bunkers. A challenging "600 + yard" par 5. A careful second shot is required to the undulating fairway which has trees and a carefully positioned fairway bunker on the right hand side and a new water hazard on the left. A large green awaits the approach with 4 or 5 difficult flag placements available to test the players. A totally different hole with water very apparent on the left. The green is large with great variety in it's undulations. There are deep bunkers on the right and when the wind gets up it will play havoc with the shot to the green. Putting will be especially demanding on this green with several testing flag placements available. A markedly different proposition off the tee. The bunker in the centre of the fairway will make the player on the tee think. A driver up the right half will usually be best. The prevailing wind will have a big influence on the strategy adopted as will the player's position in the event. A real "Risk and Reward" proposition. The greenside bunkers are wonderful. A totally different feeling on the tee with the opening up of the fairway. A driver with a fade can be played with greater ease but the water will be easily reached down breeze. Another large rolling green awaits a mid iron approach to a difficult putting surface. One of golf's toughest finishing holes. Excellent fairway bunkering left and deep scrub on the right make this a treacherous driving hole. Swales and hollows through the back will very much be in play and more demands will be placed on the accuracy of shots to the large undulating green. 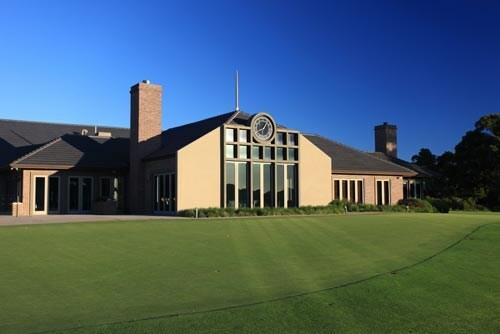 Perfectly positioned within Melbourne's famous sandbelt courses, Keysborough Golf Club is a demanding and challenging layout set to test professional and club golfers alike. Constructed on 220 acres of natural bushland the course is a brilliant piece of engineering design, deserving of its high recognition. 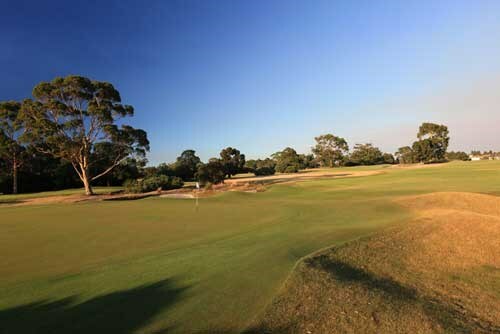 Keysborough is a demanding and challenging layout that tests professional and club golfers alike. Constructed on 220 acres of natural bushland, the course is a brilliant piece of engineering design, deserving of its high recognition. 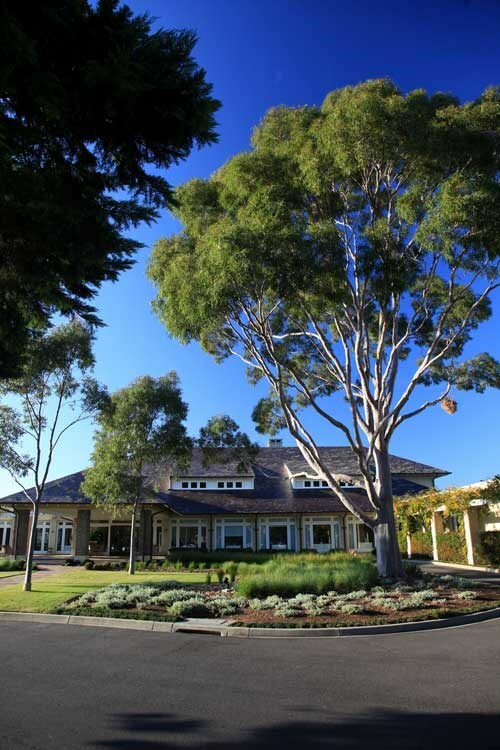 A tranquil sanctuary for flora and fauna exists within Keysborough's picturesque grounds. The Lake Gyngell and Tom's Bath water courses are host to a wonderful profusion of wildlife, creating a synergy of beauty and tranquillity. The peacefulness is broken only by the overhead chatter of rosellas or the majestic flight of native water birds. Yet, there is an air of expectation. Course architect Sam Berriman's vision for the course provides subtle variations of direction and aspect in the fairways. The contours of the course emphasise an atmosphere of history, excitement, and challenge. 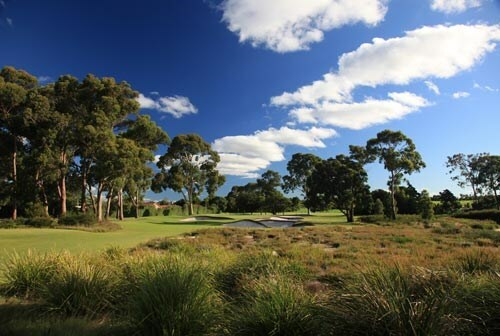 Keysborough is perfectly positioned within Melbourne's famous sandbelt courses. 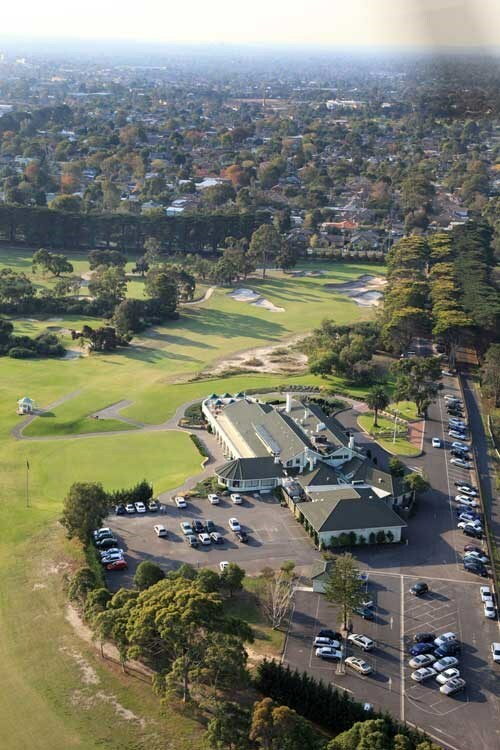 The club is only 30 minutes from the Melbourne CBD, and just 15 minutes from the famous Mornington Peninsula. A strong par 5 to commence the round. Long hitters need to keep their ball down the left to enable them to reach the green in two. Average length players can play a long iron or fairway wood to the left of the right hand fairway bunker, to leave themselves a short iron into a generous picturesque green. After negotiating the first par 5 another challenging par 5 beckons. A drive that starts at the fairway bunker on the left and fades to the right is a prefect shot. The longer hitter will have an opportunity to go for this green in two. The shorter hitter will lay up with a fairway wood and hit a short iron onto a undulating green that slopes like most holes at KGC back to front. This green is longer than it appears due to a hidden section at the back of the green. Recently renovated, the 3rd hole has become one of our best par 3's. A short to mid iron in most conditions, the right selection of club is required to combat the strategically placed bunkers front and back of the green. The first par 4 is also our second hardest hole on the course. This is not due to the length of the hole but to an accurate tee shot with the water and fairway bunker staring the golfer in the face. Long hitters may dare to hit over the fairway bunker. A good tee shot opens up this hole for a short shot to a generous green sloping back to front. 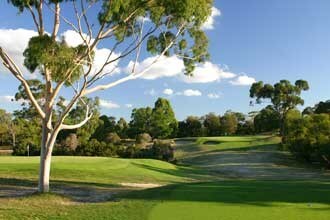 A beautiful short par 4 with reward to the aggressive golfer, but danger is evident on the left with thick bushland. Great for the average player who fades the ball right. The long hitter may take on the corner to leave themselves a short iron to the green. The shorter hitter will have a mid iron into a well protected green on the right hand side. A par 3 that only requires a short iron but beware of two big bunkers left and right that help protect the many pin positions on this undulating green. A strong par 4 to finish the outward 9 with a drive that requires a right to left shape to negotiate the two fairway bunkers. This will leave a long iron or fairway wood for most golfers to a well protected and fairly flat green. A strong westerly makes this one of our most difficult holes even for the professionals. A fairly soft start to a challenging back 9. A long iron or fairway wood off the tee is ideally placed on the right hand side of the fairway. This will leave a short iron to a large green that is well protected. A well hit drive will reward the golfer as the fairway gently slopes towards the hole adding 20 metres to a straight tee shot. Most golfers will be left with a mid to long iron off a down slope to a slightly undulating green. This is a highly regarded par 3. A long iron or fairway wood is required to land softly on a well protected green. Players who fail to find this green from the tee can struggle to make par. 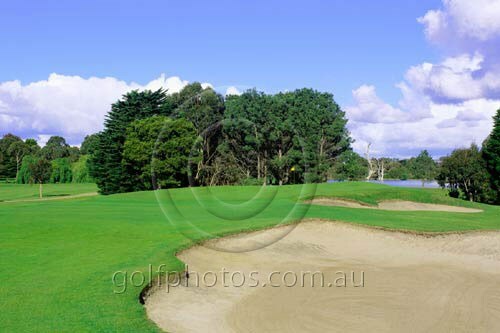 The long hitter needs to carry 200m from the back tee over the lake between the fairway bunker and large gum tree on the corner, to set themselves up for a short iron into this picturesque green. The short hitters will aim left of the gum tree for a long second shot to the green. A strong par 4 requires a left to right tee shot to give the shortest shot possible into one of the smallest and well protected greens at KGC. Due to the length and shape of this hole, shorter hitters may require a good up and down for par on KGC's number one rated hole. A long iron or fairway wood is required to hit KGC's longest par 3. Although long, this hole gives the straight hitter a chance to make par or birdie with their tee shot. The place to miss this green is short which leaves an easy up and down for par. Although our shortest par 5, don't be mistaken by taking this hole lightly. A straight hit off the tee will give the long hitter a fairly easy birdie opportunity. A little inaccurate left or right will create problems for those in the deep pines on the right and thick tee tree and water on the left. Your second shot needs to be placed down the left or a long bunker shot awaits you. Again be careful with your approach shot to the green as left, long or right bogey awaits. An open tee shot with the opportunity for the brave to take on the fairway bunkers to enable a shot for the green which is well protected by water and bunkers. With a generous lay up area, this hole is one of the least challenging holes at KGC. A strong hole that requires players having a good round to hold their nerve right to the end. Out of bounds to the right and thick trees to the left makes this 413m par 4 a monster. After placing your drive on the fairway, a mid to long iron is needs to hit this well protected last hole. The right club to this green is needed as being on the wrong level of this undulating green can be perilous. 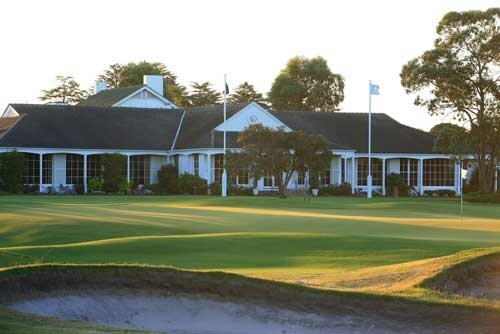 Kingston Heath Golf Club is universally regarded as one of the best manicured courses in Australia and arguably the world. Its strategic bunkering and clever use of dips and hollows fools the non observant golfer and any deviation from the fairway is generally met with a challenging recovery. The course was built on a compact parcel of land resulting in some of the best short par 4's and world class par 3 holes. 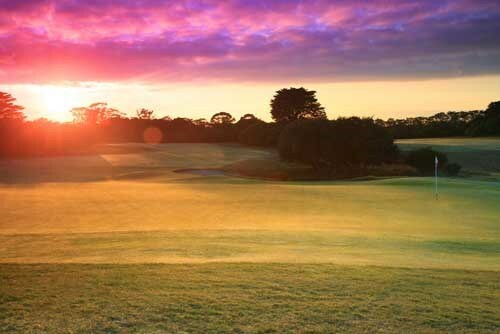 Kingston Heath Golf Club is one of Australia's best golf courses. 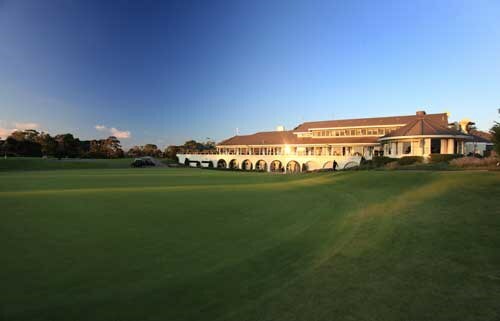 Currently ranked as the number 2 course in Australia and the 27th best course in the world, Kingston Heath enjoys an enviable reputation for its superb conditioning all year round. The 18 holes were built on only 125 hectares (most courses in the modern era are built on over 250 hectares), it is perfectly manicured and its bunkering and clever use of dips and hollows visually fools the non observant golfer. 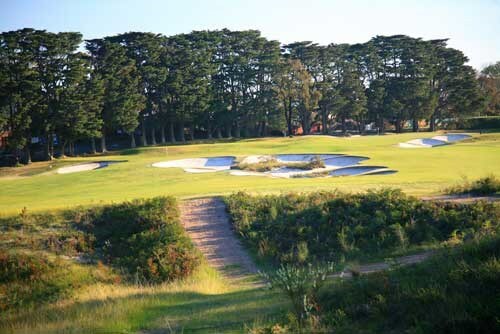 Many people would argue it is a more aesthetically pleasing course than the nearby Royal Melbourne, however if you wildly deviate from the fairway, the rough (comprising long grass, tea tree and sandy scrapes) will test your ability to get the ball back into play. The 14th hole is a longish par 5 which, depending on the wind direction, can tempt the golfer into reaching the green for 2. One golfer Roger Mackay did better than that in a tournament at the Heath when he holed his second shot for an albatross. 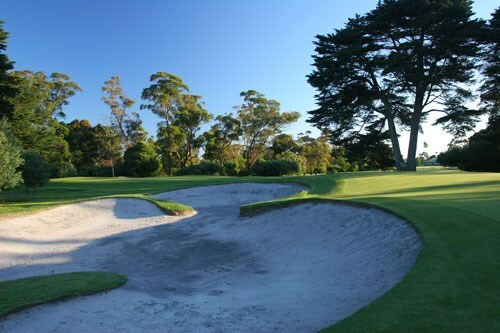 The three par 3 holes are a feature of Kingston Heath and show off one fantastic feature of this great golf course - the classic, natural bunkering. The fifteenth hole, in particular, is a real test ( not necessarily needed towards the end of your round). An uphill par 3 of moderate length, the path to the hole is surrounded by a myriad of bunkers (some of them very deep) all waiting to swallow the errant tee shot. If you reach the putting surface par is still not guaranteed as the undulating green gives up more 3 putts than 1 putts. The remaining finishing holes are long par 4's and can ruin an otherwise good score. 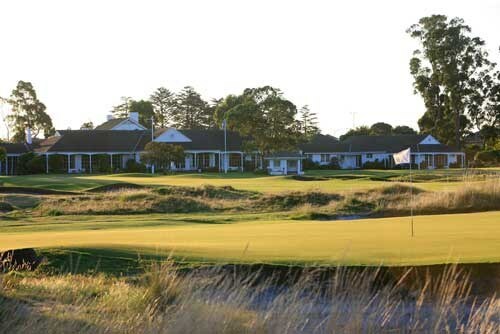 The 16th is known in golfing circles as the hole where Greg Norman took a 9 on his way to losing a tournament at Kingston Heath in the 1990's. Norman carved his tee shot into the right hand tea tree and it was all downhill from there. 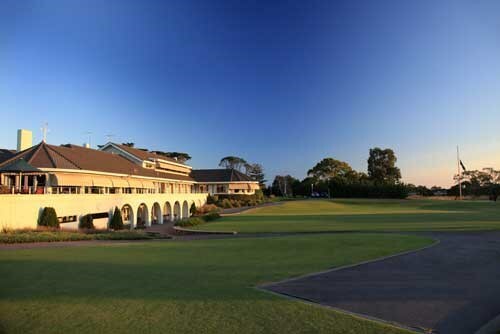 Kingston Heath has hosted the Australian Open 8 times (7 men’s & 1 women’s) as well as hosting the 2009 Australian Masters. This event saw world number 1 golfer Tiger Woods grace the fairways of KH, and he didn’t disappoint, displaying superb shot-making over 4 rounds to take out the yellow jacket. 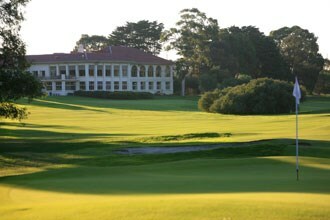 Kingston Heath is a wonderful golf course and a true delight to play. If you can manage to play a round there it is worth the effort - you will not be disappointed. A long, accurate drive is required on this straight par four. Heavy rough and fairway bunkers make the first shot most demanding. An excellent starting hole. A well placed tee shot will leave only a short, uninterrupted pitch to the green. However, heavy timber on the left could spell trouble for any wayward shots or shortcut attempts. Accuracy, not distance, is the key. This is the shortest par four on the course. Most players will be looking for birdies here, but the terraced green is very undulating and could turn a potential one-putt into three. The fairway is wide open, but a drive to the left affords the best approach to the heavily bunkered green. Once again, the green has many undulations and slopes from back to front. Although this is the longest par three on the course, it is a fairly straightforward hole. There are plenty of sand traps on both sides, but the size of the green provides reasonable margin for error off the tee. A difficult par four requiring a long drive and a long second shot. A string of bunkers waits to snare any approach straying right, although the area around the green itself is fairly clear. The par five seventh hole is a definite birdie or eagle chance. Drive down the left centre of the fairway, short of the cross bunker. I favour a fairway wood or long iron to pass the small swale at the entrance of the green. Any shot short of the swale is very difficult to judge. Another long par four requiring placement off the tee. The drive must be kept left to open up the green and avoid fairway traps and rough on the corner of the dogleg. The green is severely bunkered on the left. A relief, but accuracy is essential. Many will use an iron from the tee. The green slopes from left to right and is virtually surrounded by bunkers and thick bush. There should be plenty of birdies on this short hole, but any misdirected shots will finish in either heavy rough or one of the numerous bunkers, which surround the green. This hole has many pitfalls. Fairway bunkers just over 200 metres from the tee, heavy timber on either side, and an out of bounds behind the narrow green. There will be more bogeys than birdies on this tough hole. A solid par 5, and a real birdie chance with three well executed shots. However, the players, who take the shortest line along the left, must contend with fairway traps, thick timber, and an out of bounds. Another potential birdie opportunity, but again the tee shot should be well placed. Any shot hit to the right will leave a more difficult approach over bunkers to the small green. The longest hole, where birdies will be scarce. Bunkers 45 metres short of the green leave little opening for long hitters attempt to get close in two. An out of bounds left and behind the green provides an additional mental hazard. 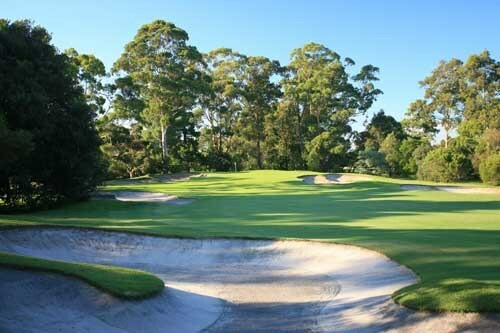 This hole is considered by many to be one of the best par three's in Australia. The very narrow green is protected by deep bunkers on both sides and slopes sharply from back to front. The first of a trio of great finishing par four's. This hole doglegs right with a large number of bunkers perfectly placed to deter or challenge long hitters. The extremely fast, sloping green requires a delicate putting touch. An extremely difficult par four, particularly if the wind is blowing from the north. Any shot hooked to the left is 'dead', and the huge, sloping putting surface will produce many three-putts. An accurate long iron approach is required to set up a par on this hole. The green is guarded by traps on both sides and like the previous 17, has many rolls and borrows. 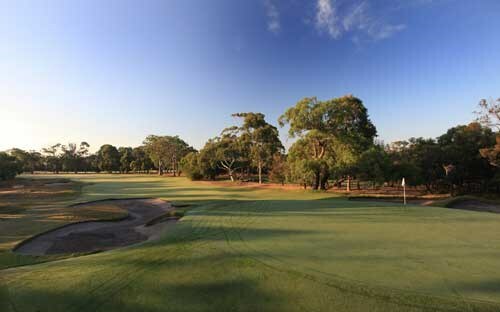 Kingswood Golf Club is known as the Melbourne Sandbelt's best kept secret. A gently undulating championship golf course, Kingswood has undergone a number of hole changes over the last few years. The result is a course which will test all standard of golfers. 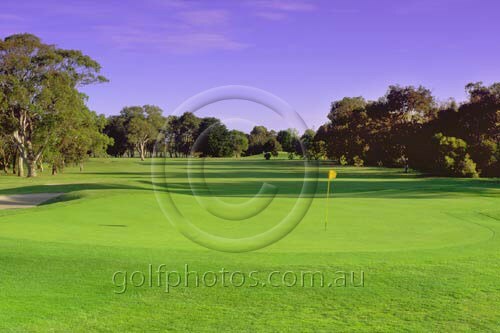 Pure couch fairways and great to putt on greens provide an enjoyable playing experience. 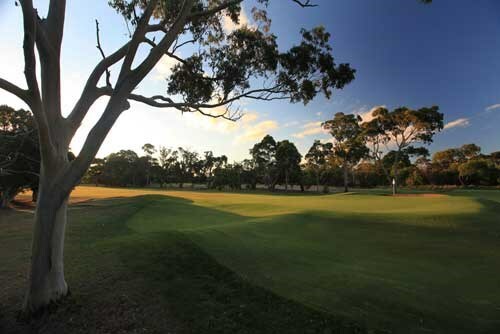 Located in Melbourne's famous Sandbelt, Kingswood has consistently rated as one of Australia's top golf courses. This championship course is gently undulating but an exceptional test of golf. 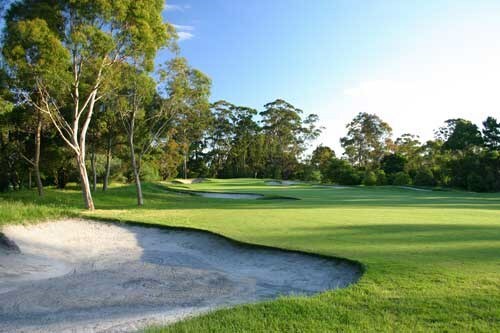 Kingswood is not as well known as some of its more famous Sandbelt neighbours, but it loses little in comparison as a championship standard golf course. Wonderful couch fairways, fast true greens, superb bunkering, and lakes coming into play on six holes provide not only a great golfing challenge, but also a delightful playing environment featuring an abundance of birdlife. The fact that the Club has hosted many State and National Amateur Championships over the years bears testament to its quality and regard in which it is held. Kingswood can rightly boast a wonderful history, a great golf course, a delightful clubhouse, and a host of past and current champions. 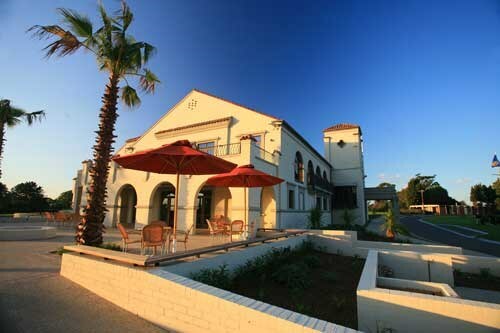 In addition, the Club has an enviable reputation in golfing circles as a very friendly and welcoming club. Kingswood is certainly one of the best kept secret on the sandbelt and is a good challenge for all standard of golfers. From the tee, avoiding the 2 bunkers right, a perfectly placed drive on the left side of the fairway leaves a straight. 2nd shot to a well guarded green. A tee shot with a 1 Iron or 3 Wood will land you in the largest area of the fairway, around 220m from the tee. The green is bunkered front right and back left. Due to a tier on the back right of the green your 2nd shot position is determined solely by pin placement. A feature hole at Kingswood, as the fairway snakes its way down hill through two dog legs and a green cleverly tucked away and guarded by both ti-tree and bunkers. A tee shot turning right to left is essential, as too straight will see problems. A second shot turned slightly left to right should see you left with a short pitch shot but having to ensure to leave yourself an uphill putt on a three tiered green. From an elevated tee the player faces a shot over deep bunkers to a generous but undulating green. Water guards the back of the green making club selection vital. A tee shot from left to right will find you in the centre of the fairway of this sharp dogleg par 5. A blind and narrow 2nd shot over fairway bunkers will have the smart golfers laying up around 80 meters from the green, which runs away both sides. For those trying to reach the green in two, be aware of the ti-tree and bunkers near to the right of the green. A long narrow green with bunkers guarding both sides of the green makes for a tricky shot. Only an accurate shot will find the tiered putting surface. Longer hitters have a big advantage on this short Par 4. The carry of 180 metres over deep bunkers leaves an approach to a well guarded green that slopes away from the player. Picturesque but treacherous with water running the entire length on the right and behind the green. The tee shot should be played left of the centre avoiding the water yet to far left will see your 2nd shot blocked by Cyprus trees. Care should be taken with the 2nd shot club selection as a bunker short of the green gives the impression the green is closer than it appears. The No. 1 rated hole on the course, this straight away 4 par calls on a left to right shape from the tee as a large pine tree guards any shot starting right. With this in mind and the prevailing wind being into and right to left, this long hole plays beyond it meterage. This narrow fairway bottle necks within driving range with deep bunkers and internal O.O.B. guarding the right hand side. An ideal second shot is a long high one, shaped right to left to carry onto the green as any shot bouncing short maybe deflected by small mounds into awaiting bunkers. A short par 4 but danger waits for the longer hitter trying to reach the green, in the form of overhanging trees and a deep fairway bunker. The thinking golfer will lay their tee shot short of the bottle neck in the fairway, preparing for a short pitch to a flat green guarded by bunkers left and right. A difficult drive as you must avoid 2 fairway bunkers right and a bottle neck in the fairway left. A precise 2nd shot must also be executed to the elevated green. Off the tee, a left to right tee shot following the shape of the hole is ideal. The second shot is relatively straight and down hill. A possible birdie awaits for any player daring to carry the fairway bunkers ahead. Surrounded by ti-tree and native grasses this is the most elegant par 3. The bunkers guarding greenside right are a must not as they are deep with the green running away from the player. Crucial club selection is needed, as pin positions can be deceiving. One of only three holes to have water in play although only if the player hits through the sharp dogleg. The perfect tee shot is around 220m where the fairway turns left around a myriad of bunkers designed to catch an errant tee shot. 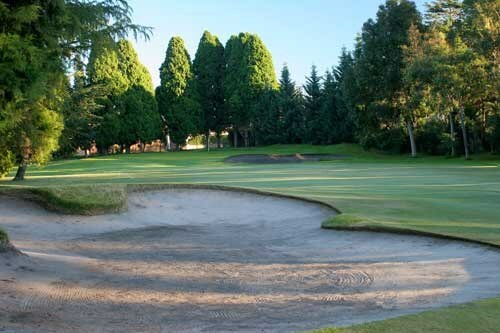 The green favours the player by its shape being a shallow bowl with only one bunker guarding the front left. The shortest hole on the course but by no means the easiest. Water and a bunker guard the front with water continuing around to the right of the green. Situated back left is a small pot bunker from which you will be faced with a shot down a tier, of which there are three and towards the awaiting water. It is imperative the player is positioned on the same tier as the flag. A slight dogleg left the player has ample fairway to thew right from the tee as it adjoins the 12th fairway for a brief moment. Fairway bunkers on the left leave the golfer with no option other than a short bunker shot over the lip. A shot positioned around 60 metres short gives the player a chance to control the ball on a green, which severely slopes back to front and right to left. Continuing on a tough stretch of finishing holes the 17th is the narrowest fairway with trouble on both sides. A driving iron is the suggested play as an accurate left to right shape following the hole is the only play with a driver. A high 2nd shot as this green often becomes hard and fast. With the view of the clubhouse in the background the fairway is long and straight with thick rough and trees lining the fairway. The green is tucked slightly left with gum trees blocking any drive hit to the left. The ideal drive is right of centre opening up the line of the player's 2nd shot to a green featuring subtle burrows. Reading this green and its surrounding lies is difficult ensuring the course's challenge is maintained right up until the last putt. testing course. Perhaps the greatest Sandbelt challenge known to mankind. 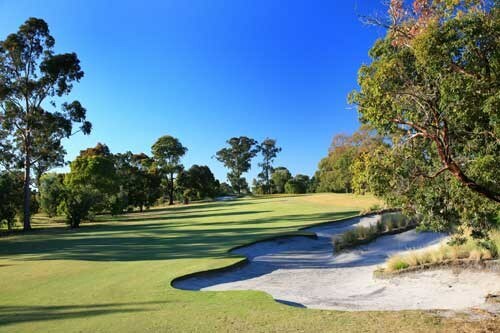 The Peninsula Kingswood Country Golf Club enjoys a reputation as one of the premier private golf clubs in Australia, with two golf courses highly ranked and club facilities of the highest standard available for members and guests. The renovated North course is designed to advantage those who plan their way around the course rather than simply "blaze away". It is not a long course, it is one that resists scoring by strategy rather than length. Several holes offer the player options that are affected by handicap, form, weather or the even state of the match. Choosing the correct option is the first key to unravelling this course. 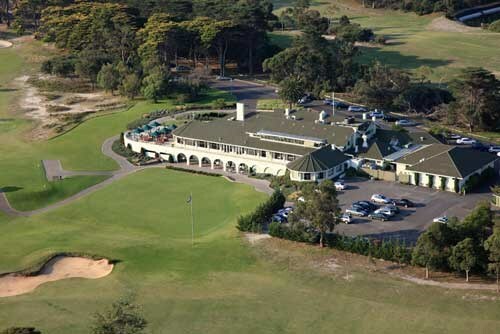 The Peninsula Kingswood Country Golf Club is located at the gateway to the Mornington Peninsula and, as its name suggests, is a country club with full accommodation and restaurant facilities. Additionally there are a number of grass and synthetic tennis courts, a bowling rink and some great outdoor areas just to relax. But what about the golf? Peninsula offers 36 holes of golf in the form of North and South courses. The courses complement one another well - the South is a championship course longer, flatter and more open than the North. The North on the other hand is a tighter course, more pronounced in its undulations and there are more trees to catch the wayward shot. The North course has undergone a major redevelopment under the watchful eye of Mike Clayton, former Tour player and now respected golf course architect. Ball catching bunkering, sandy wastelands and more pronounced putting surfaces have combined to form a course that is a very tough challenge and far superior to the old layout. The first is a relatively short par four with a second shot played uphill to the two-tiered green. Off the tee there are three significant hazards to be taken into consideration. First, a huge bunker to the left of the drive that influences drives of up to a couple of hundred meters. 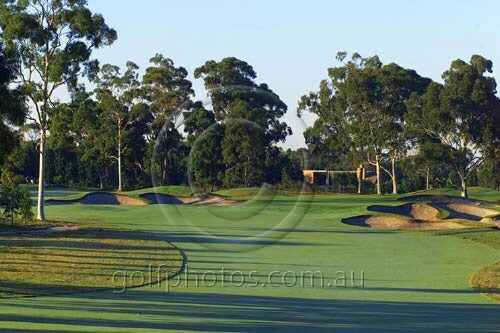 Another bunker built into the hill on the right can be carried with a 250 metre tee shot but a player trying that shot and hooking will reach the clump of swamp paperbark trees on the left. Anything in there is unplayable so the sensible play is to play up alongside the right bunker and approach from there. Playing Tip This par three plays across a beautiful valley to a green set in the opposite hill. Based loosely on the principles of the magnificent fifth at Royal Melbourne West, the player must hit a perfectly flighted middle to long iron to find the green. I suggest taking an "extra" club as this hole is all carry. Here is a medium length par five where the driver should be aimed down the left side of the fairway to open up the perfect line to the flag. Two fairway bunkers guard that left side and the green angles from the front left corner around to the back right edge. Those straying too far right with the second are left with a difficult pitch across the deep greenside bunker. Don't be fooled by all the room to the right, many times the best play is to lay back with an iron down the left aimed at the bunker short of the green as that will often open up the best approach to the cup. The key to the tee shot here is the big bunker embedded into the hill on the right of the fairway. The longer hitters can carry the bunker but most need to hit left. Often the second is blind but the bunker to the right is well away from the surface of the putting green so a miss just to the right leaves a simple chip. Those attacking the flag and missing left will find a deep bunker. This is a short par five where the perfect drive is fired into a narrow valley. A single bunker sits into the hill on the left and trees cover the hill on the right. The hole turns left from there and the perfect line for the second is across the bunker 60 meters short of the green on the left of the fairway. Shots sliding to the right across the fairway leave the player with a more difficult pitch across the greenside bunker. Similar to the third, a shorter second shot to the correct position is better than a longer one that goes off line to the right. Interesting short holes are an important part of every course and this one provides every player with a number of options. Three huge bunkers face the player and their diagonal formation gives choice of line that can vary by almost sixty meters. For those not wishing to carry the sand there are two choices. Either they can play to the right and down to the corner of the dogleg or fly up the alternate fairway cut to the left of the bunkers. Those playing left must carry the bunkers with the second but not the greenside bunker which will have to be negotiated by those playing to the right. When standing on the tee, you have to be thinking of your preferred second shot. A downhill par three to a large green surrounded by four bunkers. The front of the long green can be reached with a short iron but when it plays its longest in the winter it can be as much as a five iron to the back for a scratch player. Even though it looks like an island amongst the bunkers, the green is bigger than it appears. The tee shot here offers some options for all levels of players. The longest can fly all the way across the left-side bunkers that dominate the shot. For the rest, the line is to their right and the shorter hitters must ensure they play far enough to the right to avoid falling down the slope and into the left rough. There are no bunkers around the green but the contours reject most balls fired at its edges. Short is better than left, right or long. The longest par four on the front nine bends from left to right and for those not confident of curving the shot the line is often across the corner trees. The green is wide and relatively shallow with two bunkers -one in the front guarding the right pin placement and one at the back ready to catch the shot fired long and left. The line of the back bunker angles away from the back of the green as it stretches across to the right giving some relief to those flying over the front bunker at the right hand pin placement. Another of the courses longer fours with a fairway bunker waiting for the drive fired to the right. The green is set above the fairway and it demands a well played long second to find the target. The deepest bunker on the course cuts into the left edge of the green and large but shallower bunker stretches along the right side of the green. Play this one conservatively and according to your handicap, it can be a score wrecker! A medium length, two-shot hole where the tee shot must avoid two bunkers - one down the left side and another much further down on the right. The green has a 'false front' that must be carried if the ball is to finish on the correct level and the green. The green is designed to be approached from the right so the ideal tee-shot is aimed straight at, but finishing short of, the right-hand fairway bunker. The feature of this hole - one of the best fours on the course - is the hogs backed fairway that makes this the most difficult tee shot on the course. A sandy waste runs along the left side of the landing area and the green sits on top of the hill right at the high point of the back nine. Again, this hole can quickly ruin a promising scorecard so don't get overly ambitious. This is another short par four with several options from the tee and one where strategy is rewarded over strength. The green angles from left to right and, as such, favours those approaching from the left extremity of the fairway. A bunker some 240 meters from the tee is placed precisely where you want to drive so the reward goes to those who challenge the sand. When the flag is in the back right of the two-tiered green, it makes for an approach difficult in the extreme if the player has driven anywhere right of the centre of the fairway. This is a short hole but don't be fooled into thinking it is easy. The rewards go to those who pick the right options and then execute the necessary shots. A par three with a wide green and a false front that rejects anything short. A front left bunker makes the shot to the back left pin difficult but the false edge that winds around the right edge of the green makes for a shot no less difficult. Two bunkers cut into the hill at the back of the green but both are only in play if the player has made a serious error of judgment. This is a long par five with a tee shot played over a ridge to an unseen landing area. From there the player must either carry the bunker cut into the left edge of the fairway about eighty meters short of the green. To fly that hazard is to open up the preferred line to the green that has a large bunker at the front right of the green. Those playing to the right of the fairway bunker have a wide fairway to hit to but the further right one flies the more difficult the shot to the flag. This is the only par three that sets up to really reward the player who can bend the ball from left to right. It is not long but, obviously, the back right flag is difficult to get near because the huge bunker at the front must be negotiated. The par five bends left and the longer hitters need to hit a hook from the tee or fly up over the trees on the left of the hole. The second shot is usually blind but the bunkers by the green are out of reach for those who cannot see them. The green opens up from the left of the hole so the best plan is to fire the second down that side. The final hole is a dogleg to the left with a bunker cut into the hill at the corner of the dogleg. The longest hitters can carry the bunker but most must fly to the right. Obviously the closer one plays to the sand the shorter the pitch to the green. A bunker cuts across the front left of the green and when the pin is cut into that side of it the approach needs to be perfectly judged. 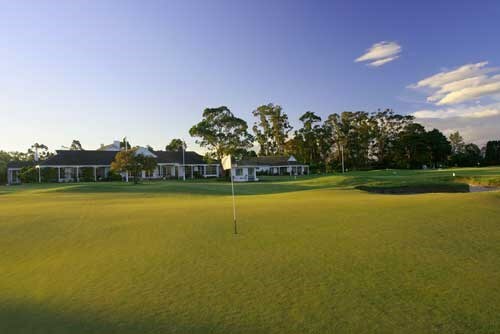 The Peninsula Kingswood Country Golf Club enjoys a reputation as one of the premier private golf clubs in Australia, with two golf courses highly ranked and club facilities of the highest standard available for members and guests. 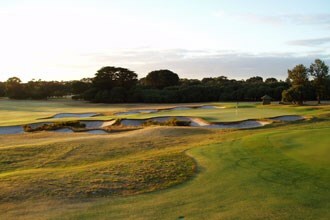 The South course has hosted a number of major qualifying events for Australian golf and the toughness of the golf course has ensured that no-one has really carved up the layout with the course record being a respectable 66. The golf course combines some short par 4 holes (1st, 7th and 11th come to mind) with some very long and tough holes (namely the 5th, 13th and 17th) to create a varied round of golf. The par 3 holes are of varying length and when combined with the other holes provides a course which is well balanced and one that will have you using every club in your bag. If you venture off the fairway the well established native gums and tea tree will often make chipping out the only viable option. The front 9 is relatively flat with combined straight and dog leg holes whereas the back 9 provides a few more scenic vistas from the tees. Peninsula is kept in very good condition all year round. An excellent opening hole. The drive should be placed just to the left of the fairway bunker on the right. This leaves you a short iron to a raised green, which slopes from back to front. A long par 3. You will need at least a long iron to reach this green, which is large, flat and fairly problem-free. A demanding par five, which requires pinpoint accuracy off the tee to avoid the trees on the left and the bunker on the right. A long iron second should be placed down the right to take the penalising mounds and bunkers out of play. You are then left with a short pitch to a very undulating green, which requires utmost care in negotiating the treacherous borrows. The most difficult hole on the course. It requires two good wood shots to a large, flattish green, with a deep bunker covering the front right. Take a par here on any day. Another long par four. A drive down the right of centre will avoid the fairway bunker and leave you with a long iron to a well bunkered green. The green has many hidden borrows and should be treated with respect. One of those little par 4's that often cause a big score. On this very sharp dogleg right, accuracy off the tee is essential. A long iron down the left, but avoiding the fairway bunker, leaves you with a short iron to a small green with many subtle borrows. A true par five with danger on every shot. This is a very long, tight hole with an undulating fairway. Two good woods will leave you with a short iron to an elevated, two-tiered green. You must be on the correct tier with the approach or you are asking for a 3 putt! Another long and difficult par three. A deep bunker guards the right side, and any shot missing the green on the left bounces down a severe slope. A par here is a great achievement. This uphill, dogleg right par four requires a drive to the left, don't try and take on too much of the corner. The green is well bunkered and undulating with a variety of hole locations. Another short hole with lots of problems. An accurate drive is essential on this uphill hole to avoid the large fairway bunker that covers the right hand side of the fairway. This leaves you with a short iron to a flattish green which is well protected by a deep bunker short and left. Don't miss the green left. A very challenging hole. Take on the corner if you dare, but a straight drive on this sharp dogleg left will serve you well. It then leaves you with a medium to long iron to a well bunkered, narrow green. This hole requires a lot of accuracy. Yet another of the South Course's long par 4's. This one is a very demanding dogleg right that requires 2 well executed shots. The green slopes from front to back and is, again, well protected by greenside bunkering. An accurate short iron gets you onto this very undulating and extremely fast green, guarded by two deep pot bunkers on the left. There is trouble on the green, but even more trouble to be found off it! A picturesque hole. The drive is off an elevated tee-box to a wide open fairway. Before the challenging second shot, you must decide whether or not to carry the water hazard crossing the fairway. The raised green is well bunkered and has severe slopes. If you are past the hole this will leave you with an exceptionally fast downhill putt. Playing from the back tees on the 16th means you face a hole of almost 540 meters! The green opens from the front right corner and the thoughtful player will attempt to get as close as possible to the right edge of the fairway with the second shot. There is a bunker about 80 meters short of the green to deal with and that hazard is the one that provides the majority of the strategic interest. Short and difficult par threes at the end of a round are unusual but when the pressure is at its greatest, players are liable to make both mental and physical errors. Good players detest playing safely away from the flag with a nine iron but the penalties for missing the target in the sand are severe and the two tiered green means it is essential to hit the right distance. The finisher boasts one of the finest views on the sandbelt from the elevated tee however players need to avoid the distraction of Port Phillip Bay in the distance and focus on hitting the fairway below.A pair of fairway bunkers - one short and right and another further along on the left - must be split with the tee shot but the green is orientated from right to left and is ideally approached from closer to the right edge of the fairway.This is a strong finisher but more importantly it is a really fun hole that gives great satisfaction to those who answer its questions successfully. 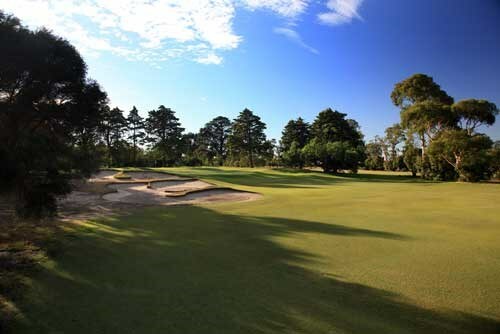 Some of the most notable features of the Champions Course at Sandhurst Club are the gentle sandbelt style fairway contours, coupled with the open fronts to greens, and substantially tree lined fairways, in contrast to the more "hurdle style" experience of the North Course. 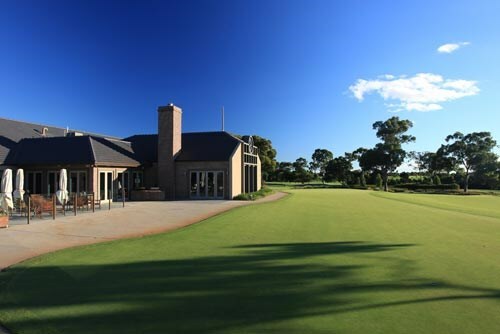 In an innovative first for golf course architecture in this country, Thomson & Perrett designed the Champions Course in a dedication to past champions of the Professional Golfers’ Association of Australia. 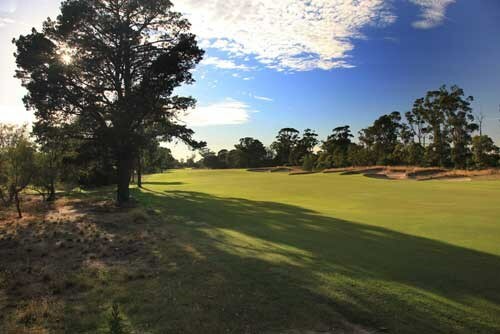 Holes on the sandbelt styled Champions Course feature a plaque near each tee as a tribute to the relevant skills and attributes of the past champion, after whom each hole has been dedicated. 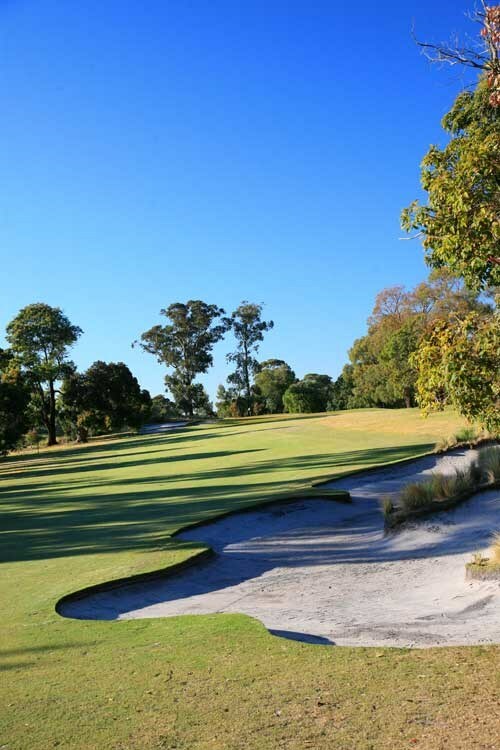 Some of the most notable features of the Champions Course at Sandhurst Club are the gentle sandbelt style fairway contours, coupled with the open fronts to greens, and substantially tree lined fairways, in contrast to the more “hurdle style” experience of the North Course. A short little opener to get the round started, this hole favours an easy mid to long iron off the tee into a generous fairway area. 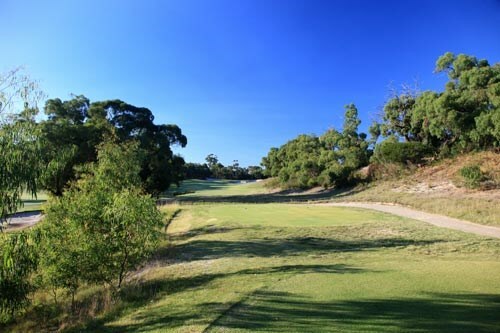 A large remnant Red Gum left of the tees and three large bunkers left of the fairway guide the golfer to the right into an ideal position to play a short lofted iron into the green. The shortest par 4 on the Champions Course, the second features water all the way down the left side of the hole, with bunkers left and right that lie waiting for an ill directed tee shot. The best ploy is to play a long iron or three wood, depending upon the wind direction, short of the bunkers, leaving a short to mid iron into an elevated green. At 469 meters off the back tee, this hole will require great strategy to avoid the fairway bunkers. For the longer hitters who are trying to get home in two, a tee shot over the left hand bunkers will required a shot to fly some 250 meters, whilst the second shot from the fairway is played into a generous landing area about 100 metres from the green. A classic little par 4, the forth looks easy off the tee with only a bit of water carry and two lone bunkers right of the fairway some 270 meters away. The shot in however will depend largely on the skill of the golfer who can place their tee shot as close the two bunkers on the right as they can without going in. Like the third hole, the fifth hole challenges the golfer to hit it long and straight. The second shot presents the golfer with an immediate decision to either lay up short of the cross bunkers and therefore leave a longer shot in, or try to power their way with a three wood over the left hand bunkers rewarding them with an easy open shot into the green. A real risk and reward par 5. Possibly the prettiest hole on the Champions Course, the sixth hole is set amongst a cluster of ancient remnant Red Gums. This 160 meter par 3 over water will play a variety of different ways depending upon the wind. A straightaway par 4, what you see is what you get. A tee shot short of the bunkers, which lie in waiting some 220-240 metres off the back tee, will present the player with a mid iron into the green. A strong par three by anyones standards, the tee shot is played from a slightly elevated tee over a bunkered sandy wasteland into an elevated green guarded by humps and hollows ready to deflect any errant golf ball. A three here is a great score. Completing the front nine with the clubhouse in view, the ninth is the hardest par 4, and possibly the toughest on the course. A carefully guided tee shot aiming for the left hand side of the clubhouse is required to obtain the best line in for the second shot. Play for a five and get your four is the motto for this long par 4! Three well-played shots is the answer to this long par 5 back up the hill. This hole offers a golfing experience not available to any course in the region and is akin to the dramatic landforms found only on the Peninsula. From the fairway level, the adjoining residential area rises vertically some 5 to 6 meters, giving both golfer and resident a unique feeling. The shortest hole on the Champions Course, the 11th plays only 140 meters from the back tee and will require only a short iron into the green. 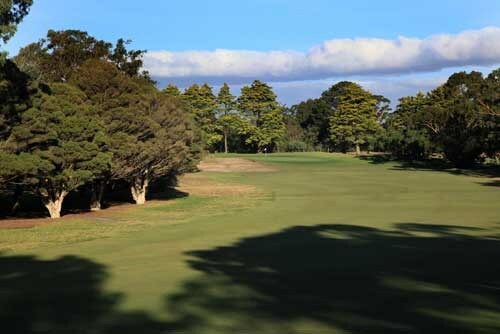 The green is surrounded by a sea of bunkers ready to catch an errant tee shot, while the green itself is long and narrow akin to the famous 10th hole at Kingston Heath. 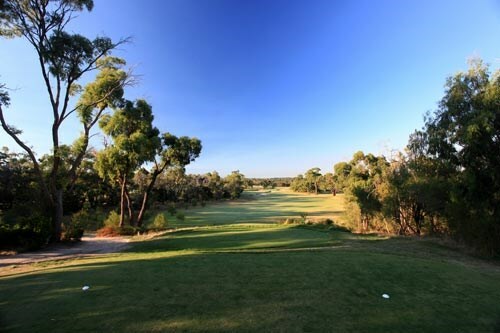 The second of the par 5's on the back nine, the twelfth hole fires it way between to remnant red gums which flank the hole left and then right. The second shot asks the golfer to either have a go at the green in two, or lay up short and to the right of the second set of fairway bunkers. Dog leg right par 4 that plays shorter than its length due to being downhill. Largish green which should be treated with caution. Short par 4 playing slightly uphill. Can be driven with a good drive in the right conditions. Green is sloping and 3 putts are common. A strong dogleg left par 4, this hole requires length and accuracy off the tee. A tee shot between the two will give the golfer a mid iron into the green that is guarded by two bunkers short and right, and one protecting the middle left. A par here is a good score. If the pin is tucked anywhere on the right side, the golfer must play a precise shot of length and accuracy to meet the target. A more considered shot to the front left of the green would ensure a two-putt par is guaranteed. Discouraging the bigger hitters to carry the bunkers on the left, there is a follow up bunker just short of the green ready to catch an overly aggressive tee shot. The more prudent way to tame this hole, is to play a 3 wood out to the right, from where a skilfully controlled short iron can be played into the table toped green. A fitting end to the Champions Course, this final hole is the longest of the Par 4's it will surely test even the most skilful players. A spectacular view of the development framed by the distant views of the Dandenong's beyond lies ahead from the tees. A collection of bunkers 230 / 275 metres from the back tee await for anything going right, while one bunker at 260 meter protects the left side. A real grandstand finish. 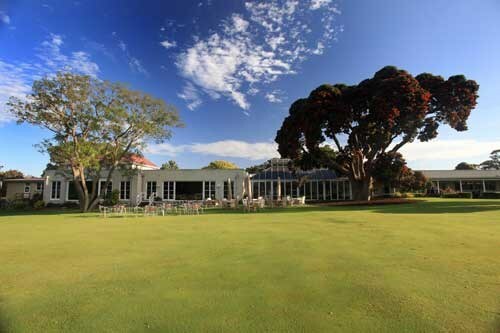 The Southern Golf Club is an outstanding professionally manicured Championship Golf Course that can offer golfers of every calibre; challenge, rewards, but most importantly, enjoyment. 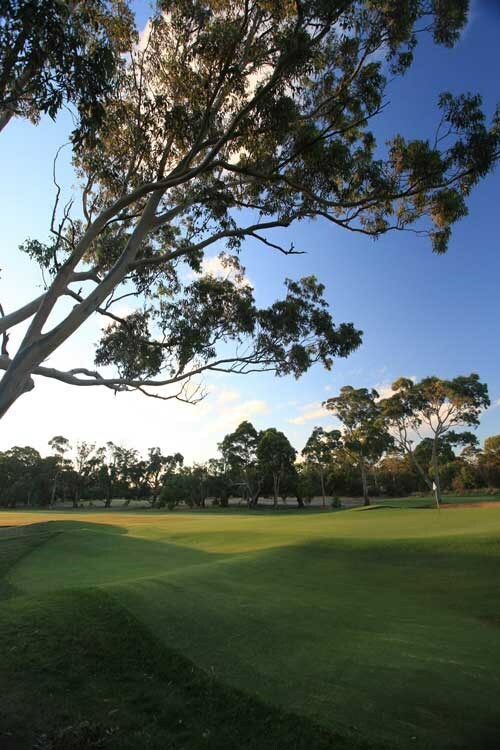 Southern is renowned as one of the best kept private golf courses on the Melbourne Sandbelt and with this, the course was a nominated Victorian Pro-Am Course of the Year 1999/2000 by the PGA. 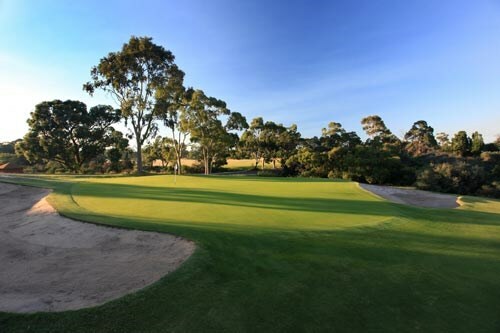 Southern Golf Club is renowned as one of the best kept private golf courses on the Melbourne Sandbelt and with this, the course was a nominated Victorian Pro-Am Course of the Year 1999/2000 by the PGA. The Southern Golf Club is an outstanding professionally manicured Championship Golf Course that can offer golfers of every calibre; challenge, rewards, but most importantly, enjoyment. The golf course is a balance of different types of holes. Mature trees line the fairways of our older holes whilst strategic waterholes catch any errant shots on our newer holes. 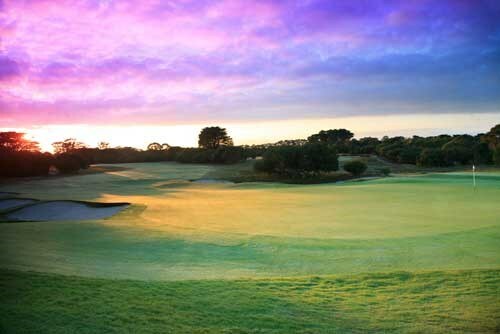 Southern is a golf course which can be enjoyed by good golfers and beginners alike. It rewards the daring play yet also encourages the beginning golfers. 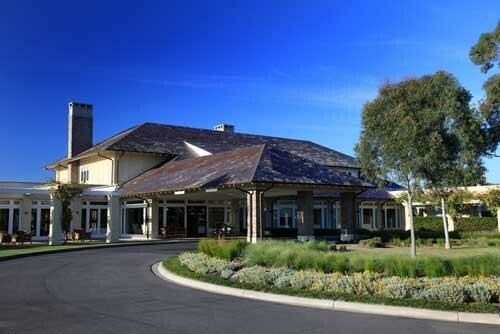 With the addition of the the new multi-million dollar Clubhouse (opened in late 2003), it would be fair to say that Southern is an ideal course for the avid golfer to experience. A long drive down the right centre is ideal while the second shot is most difficult. The best way to approach this green, which is wide, very firm but lacks depth, is to land the ball short and let it run up. A very difficult, demanding golf hole rated accordingly. Depending on the wind a driver or fairway wood down the right centre is required to avoid the fairway traps that line the left side of the fairway. The approach shot must be played with maximum height, as this green tends to slope a little front to back. Again, depending on the wind, this hole can play from a wedge to a 4 iron. Safe play is taking the left trap and long shot out of play by aiming at the middle of the green. A crisp shot with maximum backspin will only hold this green. For the long hitters, a long drive down the left side of the fairway is perfect, as the green can be seen from this side, but for the shorter hitters make sure the fairway bunkers are avoided by playing right of them. With fairway bunkers 60 metres short of the green on both sides of the fairway, you need to sum up whether you can carry them or lay up. The percentage shot here is to lay up and leave yourself a full wedge shot. With water on both sides of the fairway this hole can be quite intimidating for the novice golfer. A long iron or fairway wood starting down the left and fading back to the centre is the tee shot to play. Fairway bunkers flank both sides of this fairway so ensure accurate tee shot. Approaching the green requires a shot to the heart of the green, as flirting with the right edge can cause the ball to bounce off into the water or making it a difficult up and down. A very difficult par three with a two tiered green. Safe play is to the middle or even right side as missing the green left can make for a very hard fought par. A drive favouring the left side is required to avoid the fairway bunker on the right. The second shot needs to be kept away from the bunkers in the middle of the fairway so lay up short or left of them If you cannot carry them. With a very firm, two tiered green, the safe play is to the top tier which is the largest part of the green. A long iron or fairway wood from the tee is required and should leave only a 9 iron or less into again, a two tiered green. The approach shot is the key here, so make sure you find the same level as the flag. Favour short rather than long, as par is relatively easy from the front. A long drive down the right centre is required to avoid the fairway bunker on the left. A relatively easy green to hit, generally made difficult by a mid to long iron approach. Playing short of the green is recommended, as it's common for most good shots to bounce and roll onto the green. This par 4 requires a well directed tee shot to set the hole up for a great score. A drive down the right centre will give you a view of the green. Be sure that you do not play into the trap on the right short of the green. This bunker is 50 metres from the green and makes for a difficult par. Although rarely reachable in two shots, this hole is very straight forward. A drive and second shot over the hill will leave a relatively easy approach to this large but well protected green. A hard par three surrounded by deep bunkers and a tongue that eats into a uniquely designed green. Depending on the pin position, you need to avoid the middle of the green as the ball generally rolls down the swale, and the bunkers on the left are very difficult to make par from. Long and left or short and left off the tee is generally a good leave. This is the start of three great par 4's to finish your round. A drive down the left centre and over the hill is required for perfect positioning. The approach shot is usually from a downhill, ball above the feet lie to an elevated green, making it one of the most difficult but rewarding shots on the course. The most difficult hole on the course, it requires a long drive down the left centre, as the ball tends to feed to the right rough as it descends down, over the hill. Three bunkers, two on the right and one on the left guard this large flat green, making for an intimidating second shot. This is no doubt Southern's signature hole. A solid finishing hole, dogleg left par four. A long iron off the tee is required to reach the corner. The second shot is made a little harder due to bunkers surrounding a tight green. Safe play is short of the pin as over the back makes for a very difficult par. A good hole, played intelligently should result in a relatively easy par three. Safe play is to aim at the left edge of the green to avoid the large, treacherous greenside trap on the right. Driver is not necessary off this tee due to the importantence of hitting this narrow fairway. Right centre all the way is perfect as the second shot ideally requires placement right of the large gum in the middle of the fairway to open up the green for the approach. Correct placement of tee shot is critical on hole 18. A long iron or fairway wood off the tee down right centre will open up the green for the second shot in. Depending on where the flag is generally the safe approach shot is short right as over the back or in the left bunker make for a difficult par. Spring Valley Golf Club is one of those underrated golf courses located in the middle of the Melbourne Sandbelt. It is not a course that you may have heard about (compared to its famous neighbours) and this is what makes it even more alluring. From the time you drive in the new sweeping driveway and up to the multi million dollar new clubhouse which sits atop the 9th and 18th greens you will enjoy your day at Spring Valley. 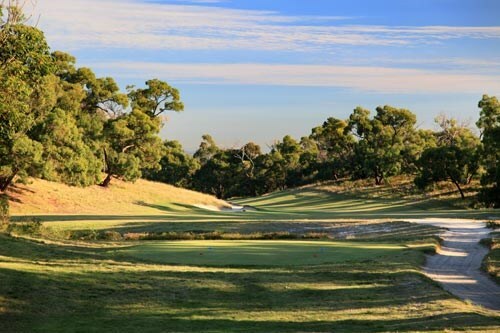 Spring Valley Golf Club is one of those underrated golf courses located in the middle of the Melbourne Sandbelt. 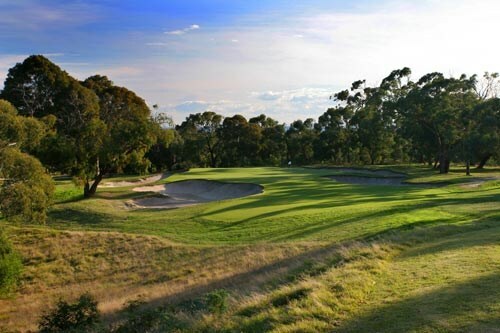 It is not a course that you may have heard about (compared to its famous neighbours like Royal Melbourne, Kingston Heath and The Metropolitan), but enjoys the pleasure of playing on a course borne out of the same terrain. This is what makes Spring Valley even more alluring. Founded in 1948 the club has quietly gone about its business by providing the members with ever improving facilities. 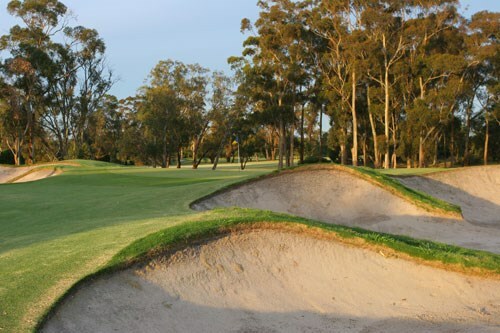 The golf course is home to a huge variety of bird life and its immaculate greens and fairways and signature bunkering contribute to 'The Valley's' rating as one of the top courses in Victoria. 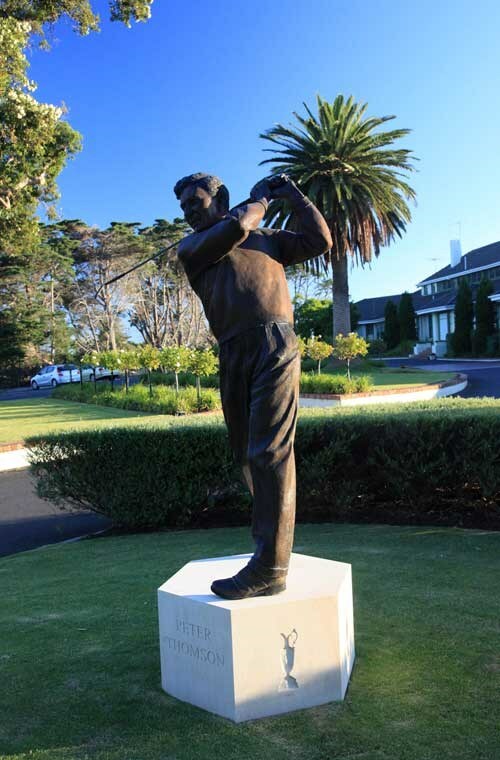 It is a fine example of the work of Vern Morcom the son of Mick, the famous constructor who put all of Alister Mackenzie's work on the ground in Melbourne. 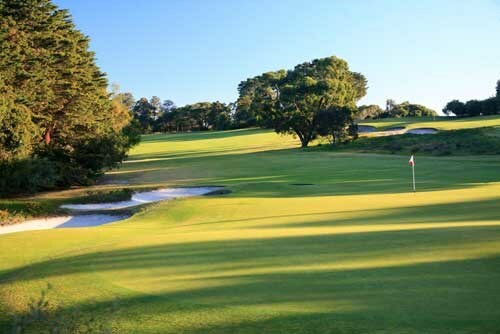 Spring Valley is a true test of golf and features gentle undulations, much like Kingston Heath which is just down the road. The holes demand well shaped shots from the tees and the irons to the flags must be played with precision. From the time you drive in the new sweeping driveway and up to the multi million dollar new clubhouse which sits atop the 9th and 18th greens you will enjoy your day at Spring Valley. The opening hole is a fine medium length par four turning from left to right. The tee shot should, ideally be shaped the same way to avoid running through the left side of the fairway. 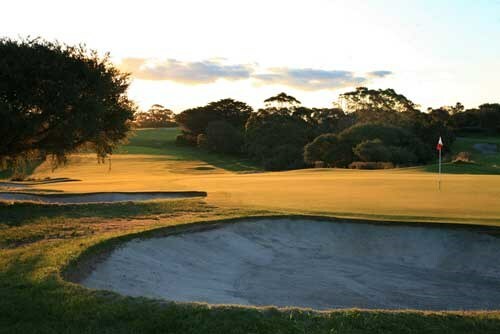 Vern Morcom was both the architect at Spring Valley and the greenkeeper at nearby Kingston Heath and his father, Mick was the great constructor of most of Alister Mackenzies work in Australia.The sophistication of the Morcom family bunkering is immediately apparent at the first hole with a large and dramatic bunker guarding the left of the green. The second is a fine dogleg hole bending to the left. There is a line of fairway bunkers down the left which catches any errant drives. 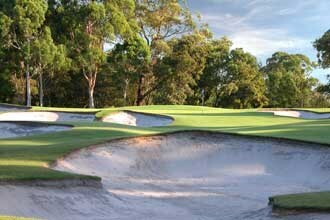 The green and greenside bunkering is superb and is a real classic example of Morcom's design style. The first of the short holes is played across a flat piece of ground with a middle to short iron to a target that is the easiest to hit of the four short holes. 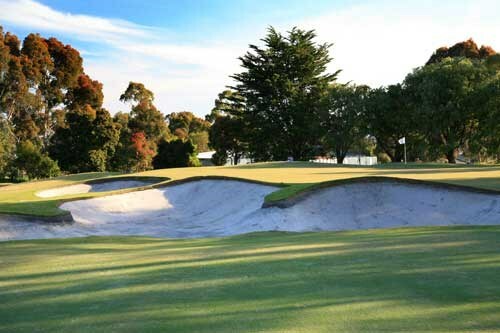 The green is big and not surrounded by the particularly intimidating Melbourne bunkers that characterize the best par threes in the city. Certainly the more difficult par threes are left for later in the round. A first class short par 4 which bends gently to the right. The main course reservoir borders the hole to the left and it's banks offer a pleasing backdrop to the drive. The green is very small and beautifully bunkered, both left and right. A classic sand belt par 3 and one the Club Members are extremely proud of. The hole is played uphill to a green guarded by a nest of bunkers on the left and a single bunker on the right. The small green is elevated from the natural surrounding ground. The hole turns from right to left and plays downhill from the tee with the principle driving hazard being a bunker built at the top of the hill. Longer hitters who carry the fairway bunker will have a pitch to the green with only a short iron. Shorter hitters should play wide of the fairway bunker but be aware that in being too far right off the tee that the green is undulating and protected by a bunker from the right side. The first of three par fives plays as a straight hole but the bunker placement here demands players are wary of sand with both tee shot and the long second up to the green. Bunkers await those who drive left from the tee and two bunkers short and right of the green make for a difficult shot because that intermediate bunker shot of between 25 and 40 meters is one of the most difficult in the game. The green gives the appearance of being raised, simply by a swale cut across the front of the green and continuing around the right side of the putting surface. Ideally the drive should be hit to the right side of the fairway but be wary! Too far right off the tee and the player may not find the ball. The shot to the elevated green must be precise as bunkers guard the left side and the slope of the green makes any chip shot a real challenge. This hole is the most difficult on the course and it's quality is underrated simply because it plays across a gentle piece of ground. 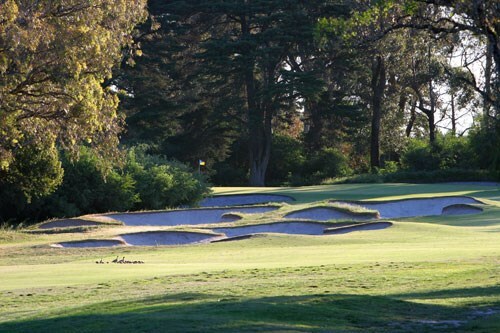 On a more undulating fairway this would be recognized as one of the finest holes in Melbourne simply because the architectural principle around which it is based were perfectly executed by Morcom. The drive off the tee is preferably to the left side of the fairway avoiding the fairway bunker. A perfectly struck drive will open the green up from the left as coming in from the right hand side of the hole demands the second shot being played over a greenside bunker and swale. A short, but without question, very attractive hole which to it's credit places the emphasis on accuracy rather than length. The hole is played downhill to a small, well bunkered green. Keep the ball low on this hole as the wind can play havoc. A short par 4 hole which is played turning left around the side of a sandy ridge. The drive is to the top of the hill and beyond. The second shot is downhill to a small green guarded by bunkers on both sides. This par 5 is just short enough to tempt the player to hit the green for two. A slightly pushed shot will be caught by the water which comes into play about 30 metres short right. An undulating green makes club selection difficult. A dogleg hole that demands an accurate tee shot being played. For the shorter hitter water presents a challenge before fairway bunkers also come into play. 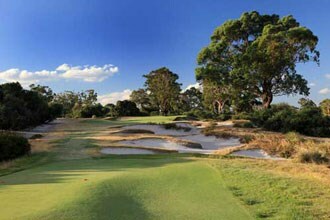 long par three and one of the best in Melbourne . The green is small and beautifully bunkered and only the finest of long irons will find the green here. Another fine par 4 which meanders gently downhill. The second shot is to a green which is set on a low level with a greenside bunker on the right hand side. A fairway bunker is located short of the green on the left hand side but shouldn't come into play. A dogleg hole which bends sharply to the right. There is a series of three fairway bunkers along the right hand side. The shot to the green requires an accurate mid iron to a small green which is guarded by bunkers on both the left and the right. Fairways bunkers taunt the player throughout this hole. It is not a long Par 5 but it does demand strategic play. Being a Par 5 it rewards great shot playing with a reachable green in two. The green evolves from the fairway and is well guarded by bunkers. A beautifully bunkered, attractive finishing hole, played uphill to the Clubhouse. 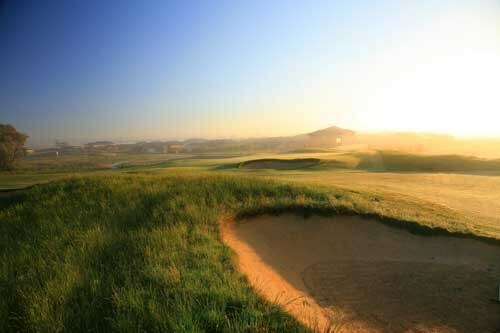 The hole is undulating and it's features two fairway bunkers to the right.. The green is gently sloping, and when quick offers some treacherous putting. 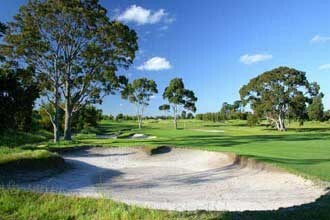 The Master Builders Golf Club plays each of its matches on the top golf courses of Melbourne. 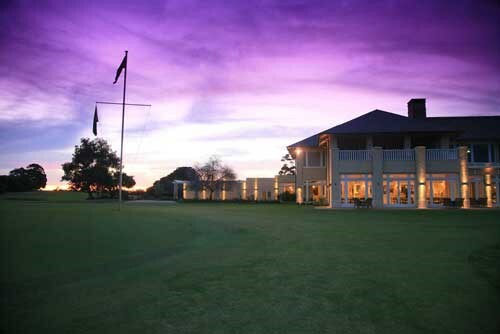 The Metropolitan Golf Club is one of Australia's premier golf courses. 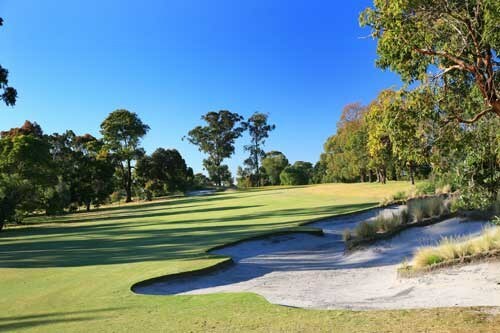 Tucked quietly in Melbourne's south eastern suburbs it is one of the renowned "sandbelt courses" and widely recognised as one of the finest golf courses in Australia. It has also been described as the Australian equivalent of Augusta National. The perfect fairways, marbletop greens and blindingly white bunkers all combine to offer a test of golf not seen previously in Australia. Metropolitan is a tough but fair test of golf. 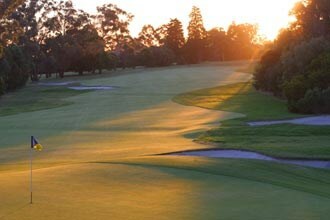 The Metropolitan Golf Club is one of Australia's premier golf courses. 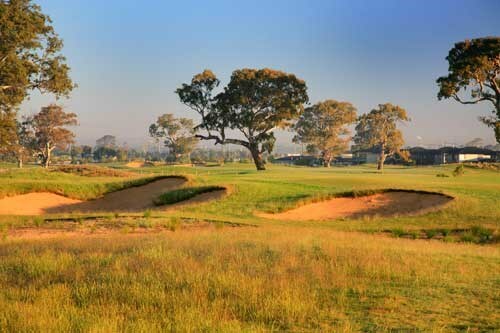 Tucked quietly in Melbourne's south eastern suburbs it is one of the renowned "sandbelt courses" and widely recognised as one of the finest golf courses in Australia. The course has continually challenged the best players in the world. Peter Thomson began his brilliant career with a win here in the 1951 Australian Open. Jack Newton won the Australian Open in 1979 by one shot from a young Greg Norman, who three putted the final green. In 1993 Brad Faxon mastered Metropolitan with a four round score of 275, 13 under par, including equaling Greg Norman's course record 65. In 1997 Lee Westwood won a very exciting Australian Open defeating Greg Norman in a sudden death playoff on the 18th hole. In 2001 the course hosted the World Matchplay Championships-a tournament which saw the world's top golfers gather at Metropolitan for a unique matchplay event where the unlikely winner Steve Stricker walked away with a cool $1 million pay cheque. Most recently the course hosted the 2009 Women’s Australian Open with former world number one Laura Davies prevailing in a very exciting finish. 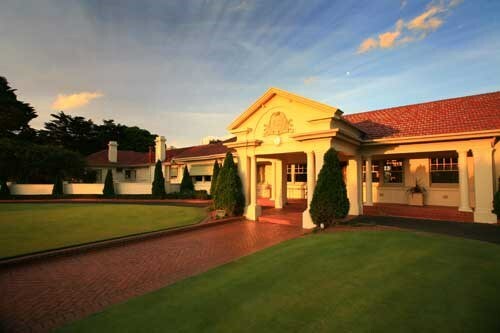 Metropolitan Golf Club can also be described as the Australian equivalent of Augusta National. The perfect fairways, marbletop greens and blindingly white bunkers all combine to offer a test of golf not seen previously in Australia. Metropolitan is a tough but fair test of golf. The tee shot should be played right of the fairway bunker on the left. The second shot to an open green requires a long iron or fairway wood. One of the most picturesque holes on the course. The hole is heavily bunkered and the green moderately contoured. Anything not landing on the green will bring about a tough second shot. A two-tiered green sloping from left to right requires a tee shot to be played into the right hand side of the fairway. Such positioning opens up the second shot to the green. However, the greenside bunkers on the left is one to stay away from. A fairway bunker jutting out from the right side of the fairway requires a tee shot down the left. The second shot should be played short of the bunkers, allowing a pitch to a slightly elevated green. This hole favours the long hitters. Another hole made more difficult by the addition of a new championship tee. Two deep fairway bunkers are right in play down the left side of the driving area, the right hand fairway bunker is of little concern. The green features a huge slope off the shoulder of the right hand greenside bunker and if the flag is in the right half of the green an approach from the left half of the fairway - usually with a short or mid iron - is ideal. Widely regarded as one of the classic holes on the course. 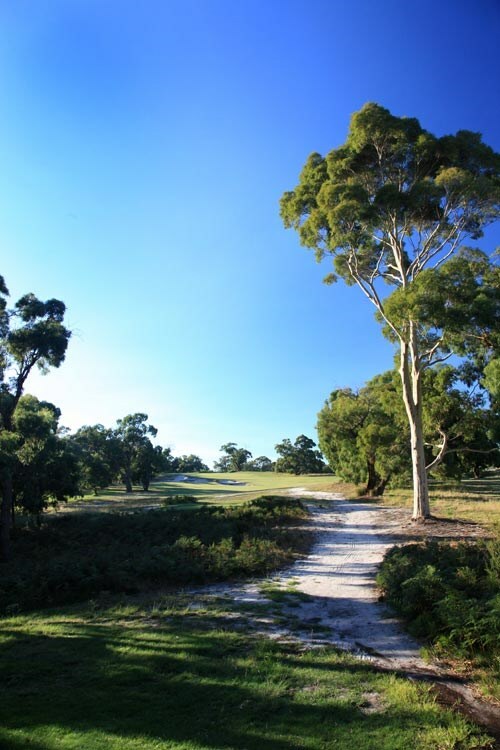 The 6th is the second of three front nine par fives and the player must drive to the far left side of the dogleg if an approach over the huge gum trees that block both the shot and view down to the green is to be avoided. 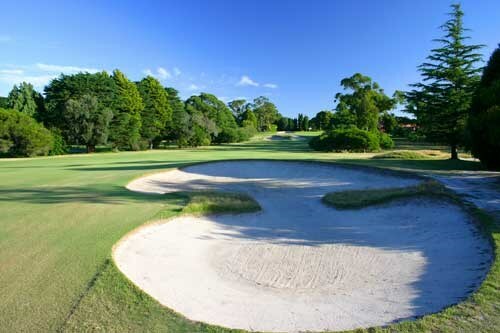 Jack Nicklaus, famously, carried the fairway bunker that stretches across the left half of the fairway (270 metres) with a driver and a small ball in the 1967 Australian P.G.A Championship. The green and surrounds have been redesigned, the new cavernous bunkers and heavily contoured green require skilled shotmaking whether from a long second or short third shot. The longest par three on the course is characterized by a generous green sloping from the top right to the bottom left from the tee. A long iron or wood is required. A big fairway bunker has to be negotiated with the drive. The second shot should be placed on the right side of the fairway, which makes the approach considerably easier as the green slopes from left to right. A perfect hole to drag out that tired old story of "when I was your age I could drive it across those trees". In 1968 Nicklaus flew it over the corner trees on this sharp dogleg right with a three wood and hit a wedge to the green for four straight days but "the trees were only so high when I was your age". They have grown up so tall now it's impossible to pull that shot off. Most play down to the corner with a long iron or a three wood and if the driver comes out it has to be perfectly faded around the corner or it runs through the fairway. The second shot can vary between a four iron down to an eight or nine. This is the most beautifully contoured and shaped green on the golf course - being on in two is no guarantee of a par. A long dogleg left plays all of its length. The hole requires two good shots to reach the large green in two. A testing par three. The green slopes diagonally as you look at it from the tee-box. The tee shot should be directed towards the left part of the green. Play conservatively. Off the tee, the ideal position is the centre right part of the fairway to avoid sand traps on the left. The second shot should be played to the right side of the green, taking the front bunkers out of play. Playing to a large, well bunkered green, a shot to the middle of the putting surface is desirable. if you miss the green, be prepared for a tough up and down. A dogleg left as well as fairway bunkers on that side demand a shot to the right of the fairway off the tee. From there the second shot should be played to within pitching distance of the green with a chance for birdie. This hole favours the long hitters. This is probably the most difficult of Metropolitan's par fours and again the strategy is simple and clear. A long bunker with a high lip sits into the left side of the fairway and a green that angles from its front left corner to the back right clearly favours an approach from close to the fairway bunker. A greenside bunker closes off the flag for those approaching from the right and only a big high fade will get the job done for those who fly their drives too far to the right. 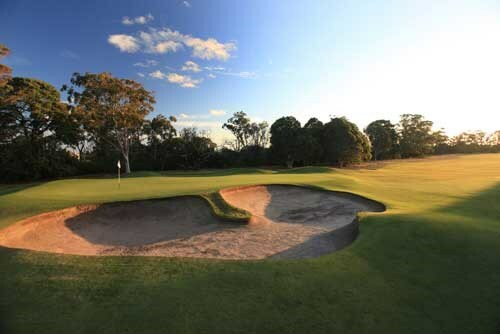 This short par four doglegs sharply right around several deep fairway bunkers that have proved pivotal in deciding at least two Australian Opens. Bob Shearer in 1979 and Ian Baker-Finch in 1986 both drove into the bunkers and made killer bogeys that cost them their chance in those tournaments. Some can drive far enough to reach the green but it's almost impossible to keep such a long shot on the small sloping green. Often the pin placement dictates the best place to play to from the tee with the most difficult pin to get close to being behind the front right bunker, when the flag is there it's often easier to approach from 70 metres than it is from 30. A wonderful example of how great a well designed short par four can be. A single deep bunker that is almost impossible to hit the green from, sits in the left side of the driving area. It's the one place not to go. Some curiously sited trees (but favorites of the members) 60 metres short of the green make for a blind second for those who have driven to the right, although that is the only effect they have in the play of the hole. The green is relatively large, not in truth that difficult to hit and only when the pin is tucked close to the bunkers do they have much influence on the approach. The championship tee added for the 1997 Australian Open stretched this hole out to 433 metres and into a wind from the north it's a brutally difficult hole. The hole is actually dead straight and it is the blocked drive that is caught by the fairway bunkers down the right, but when the flag is on the left of the green it's clearly best to approach from close to the bunkers. In the 1979 Australian Open, Greg Norman hit two terrific shots, the second with a five iron, just under the tier of the two level green and then three putted to lose by one to Jack Newton. Eighteen years later in 1997, from almost exactly the same spot, Norman three putted in the playoff with Lee Westwood to lose the Open again. The opening hole is a medium length par 4 that turns a little from right to left around two fairway bunkers on the left side of the driving area. A big bunker guards the right of the green, and when the hole is tucked close to this bunker, a drive to the left edge of the fairway is truly rewarded with a clear line to the pin. A relatively short par 3 with a green larger than it might be for a hole of this length. The championship pin placements are protected by the surrounding bunkers and the slopes that run off them into the green. This is a beautiful looking hole, and one that shouldn’t provide too many early round problems. Dr. Alister MacKenzie, on his visit here in 1926, stated this was one of the best short holes he had seen in Australia. Slightly shorter than the first hole, this par 4 suits a draw from the tee except when the flag is tucked in the back left corner of the green. A single greenside bunker protects the left side of the putting surface, and to get close, an approach from the right half of the fairway is essential. Over the back of this green is a terrible place to miss. Getting up and down from the deep swale isn’t impossible but the chip back requires both great touch and imagination. 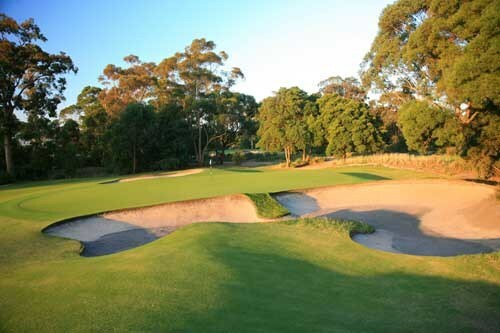 This short par 5 has been made more difficult by a tightened driving area achieved with the addition of two fairway bunkers for the 1997 Australian Open. A new back tee, however, adds 33 yards to the hole. While this should only require a drive and a long iron, the perched-up green isn’t to be missed long or right. Another hole made more difficult by the addition of a new championship tee. Two deep fairway bunkers are right in play down the left side of the driving area; the right fairway bunker is of little concern. The green features a huge slope off the shoulder of the right greenside bunker, and if the flag is in the right half of the green, an approach from the left half of the fairway – usually with a short or mid iron – is ideal. Widely regarded as one of the classic holes on the course. The sixth hole is a much-admired par 3 amongst the members, who play it as the 19th hole. The design brief was to create a hole of similar look and feel as the rest of the layout, rather than simply creating an ‘extra hole’. Players are faced with a challenging uphill tee shot to a green that is one of the most undulating on the course. Hitting this green off the tee provides no guarantee of making par. The seventh is the second of three front nine par 5s and players must drive to the far-left side of the dogleg to gain the best possible angle to approach the green. 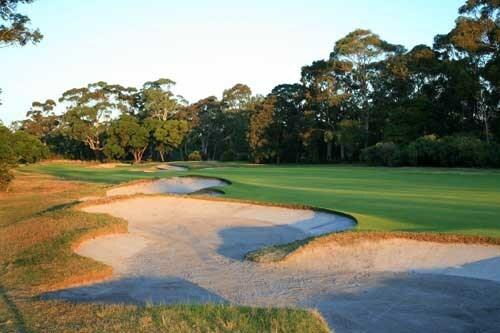 Jack Nicklaus famously carried the fairway bunker that stretches across the left half of the fairway (295 yards) with a driver and a small ball in the 1967 Australian PGA Championship. 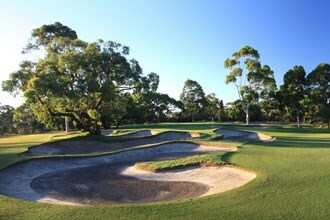 The green and surrounds feature cavernous bunkers and a heavily contoured green. Precise shot-making is required, whether it be from a long second or short third shot. An underrated hole by those who dismiss it as being too long and flat. The green and its terrific looking surrounding bunkers are a model for anyone trying to build a difficult hole on a relatively flat piece of ground. Usually it takes a long iron or a 3 wood to reach, and if the pin is tucked close to the bunkers, only a perfect long shot will set up a birdie putt. Another two-shot par 5 for the good player, which requires caution as the hole is lined with trees all the way up both sides. It bends to the right but a drive too far right forces a long low fade around the corner trees if the player hopes to reach the green. A swale guards the front of the green and runs all the way around the right side. The most difficult pin placements are on the left side of the green and a miss into the deep left bunker makes it very difficult to get up and down. The 10th is a long par 4 with a sharp dogleg right. Most play down to the corner with a long iron or a 3 wood, but if the driver comes out it has to be perfectly faded around the corner or it will run through the fairway. The second shot can vary between a 4 iron down to an 8 or 9. Though this is the most beautifully contoured and shaped green on the golf course, being on in two is no guarantee of par. This is a dogleg left that perfectly suits a long draw from the tee. Recent enhancement work by Crafter & Mogford has seen a new championship tee built, and the construction of a bunker on the inside of the dogleg, challenging the longer hitter wishing to shorten the hole by cutting off the dogleg. Playing short of the bunker will leave a long second shot into the green. A medium length par 3 where the ideal shot and club selection is entirely dictated by the pin placement. The back pin is guarded by a back left bunker that eats right into the green and catches any shot that is even marginally pulled. Like the second, it is not difficult to hit the middle of the green, but it demands a finer tee shot to get into the corners where the most difficult pin positions are placed. The 13th is a short-ish par 4 where the only place not to drive is into the left fairway bunkers. Unless it’s played into an unusually strong wind, the second shot will only be with a short iron. Downhill putts are rarely made on this green so it’s important to get your approach under the hole. This is the last of the four par 5 holes and one easily reachable in two by a good player. The green opens up from the left side of the fairway and the ideal drive either carries the deep left-hand fairway bunkers or just skirts past them. A big bunker guards the front right of the green. Getting up and down from here isn’t particularly difficult so many attack the flag in the hope of a three, but with the knowledge that missing short in the sand is no disaster. This is probably the most difficult of Metropolitan’s par 4s and again the strategy is simple and clear. A long bunker with a high lip sits on the left side of the fairway and a green that angles from the front left corner to the back right favors an approach from close to the fairway bunker. A greenside bunker closes off the flag for those approaching from the right and only a big high fade will get the job done for those who fly their drives too far to the right. 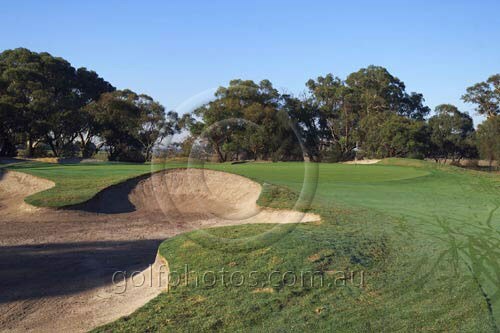 This short par 4 doglegs sharply right around several deep fairway bunkers that have proved pivotal in deciding at least two Australian Opens. Bob Shearer in 1979 and Ian Baker-Finch in 1986 both drove into the bunkers and made bogeys that cost them their chance in those tournaments. Some can drive far enough to reach the green but it’s almost impossible to keep such a long shot on the small sloping green. Often the pin placement dictates the best place to play to from the tee. The most difficult pin to get close to is behind the front right bunker; when the flag is there it’s often easier to approach from 70 yards than it is from 30. A wonderful example of how great a well-designed short par 4 can be. A single deep bunker that is almost impossible to reach the green from sits on the left side of the driving area. This is the one place not to go. Some curiously situated trees (but favorites of the members) 65 yards short of the green make for a blind second for those who have driven to the right, although that is the only role they have in the play of the hole. The green is relatively large and not very difficult to hit. Only when the pin is tucked close to the bunkers does it have much influence on the approach. 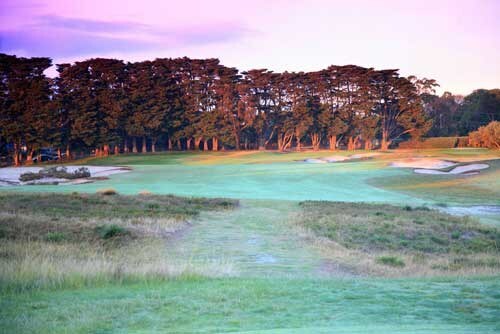 The championship tee added for the 1997 Australian Open stretched this hole out to 475 yards. Hitting into a wind from the north makes this a brutally difficult hole. The hole is actually dead straight, and it is only the blocked drive that is caught by the fairway bunkers down the right. However, when the flag is on the left of the green, it’s clearly best to approach from close to the right bunkers. In the 1979 Australian Open, Greg Norman hit two terrific shots, the second with a 5 iron, just under the tier of the two-level green, and then three-putted to lose by one to Jack Newton. 18 years later in 1997, from almost exactly the same spot, Norman three-putted in the playoff with Lee Westwood to lose the Australian Open again. 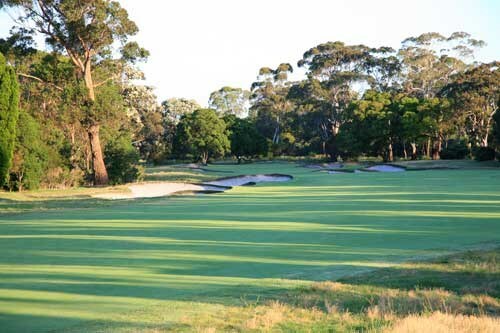 The East Course at Royal Melbourne spreads itself over 3 different paddocks and as a result contains a series of holes which are different to its more famous cousin - the West Course. The generally flatter land still provides a selection of contrasting holes which fit together to form an enjoyable 18 hole selection. 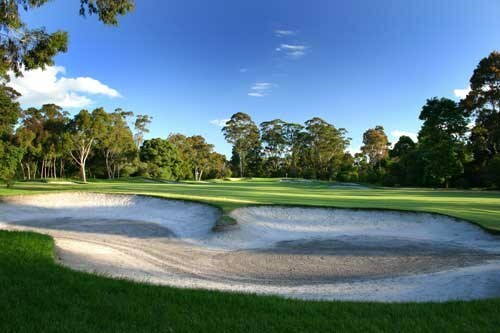 Royal Melbourne Golf Club is continually rated as the number 1 golf course in Australia and has been as high as number 5 in the world. The golf club boasts 36 holes comprising of the East and West courses. The 18 hole composite course comprises 6 holes from the East Course and 12 holes from the West Course all contained within the one boundary. The East Course crosses the road on 2 separate occasions and the "paddocks" across the road from the main part of the course are generally less hilly. 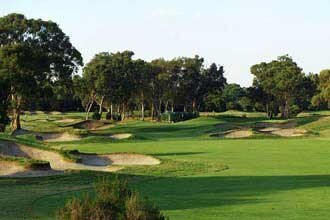 The style of holes are similar-the gaping bunkers, lightning fast greens, combination of short and long par 4 holes however the tree species features a number of eucalyptus trees which give the course a sort of country flavour in addition to the more populous tea tree which flanks most fairways. 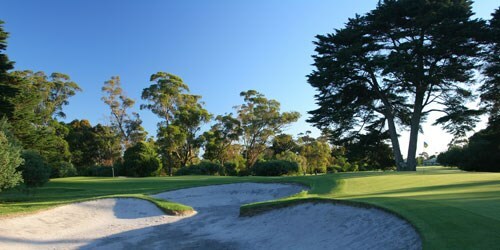 There are a number of key features of Royal Melbourne - tea tree scrub lining the fairways and catching any errant shots, cavernous bunkers surrounding most greens and also placed strategically on most fairways to catch a slightly wayward drive and lightning fast greens that give up their fair share of 3 putts. 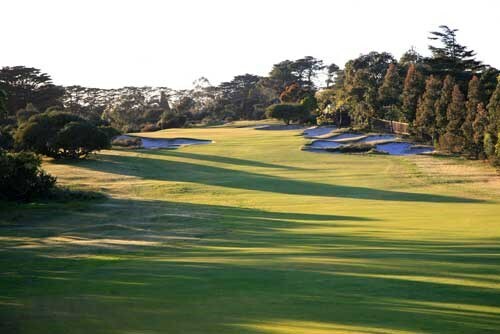 Both courses at Royal Melbourne consists of the full gamut of golf holes - strategic short par 4 holes measuring less than 300 metres (similar to another MacKenzie masterpiece - Cypress Point), classic par 3 holes with undulating putting surfaces, surrounding bunkers and local wind and reachable par 5 holes which reward precise shotmaking. A deceptive hole, short with a big fairway trap, but a real birdie chance. Players need to drive left or centre, with a fairway trap guarding the right side and a steep hill running into deep rough for tee shots hooked too far left. The small fast-sloping green is stepped and guarded by deep bunkers at the entrance. A long-driving hole with a different approach. Accuracy is required off the tee to navigate the dog leg and then a deceptive hill up to the hole often leaves players short. The green is guarded by bunkers along the right fairway and on the left of the green. A deceptive hole; short for a par four, but an accurate iron is recommended off the tee as the target area is small. The green is guarded on both sides by sand traps, but a good eight iron can set up a birdie chance. A trough from the centre of the green running right can be a problem. Par threes often present a little relief from long driving, but not this one. A wood is often used off the tee, firing up to an elevated green, where it's hard to judge the distance. A straight shot can avoid a couple of huge bunkers, especially on the left. The 5th Hole is a short Par 4. After a blind drive you require a lofted, well judged short shot to a green that slopes downward to the back of the green. The 6th Hole is a tricky Par 3 surrounded by bunkers that require precise club selection. The green has many deceptive slopes. The 7th Hole is a long Par 5 with bunkers along the right hand side. This green can be reached in two, given the right conditions. This is a long par 4 and the main danger with this hole is to miss the green on the right hand side. The 9th Hole is a demanding short Par 4. The drive is tight and the second shot, with approximately an 8 iron, is to a very narrow green, surrounded by difficult bunkers. A good driving hole where there is room in the left for the average golfer from where he can lay up short of the fairway bunkers. The low marker may wish to carry the drive bunkers to set up a long second shot at the two tierd green. Such a drive must beware the out of bounds on the right. Leave all approaches under the hole to leave an uphill putt. The 11th Hole is a short dog-leg Par 4, wide open driving hole to a very narrow sloping green. The 12th Hole is a long Par 4 which sometimes requires two woods. The second shot needs to be accurate. The 13th Hole is a beautiful short Par 3 with a sloping green. Well bunkered and requires good club selection. The 14th Hole is a demanding dog-leg Par 4 that requires a precise long iron second shot to an elevated green. This short Par 4 can be birdied with a well judged lofted second shot. The green has a slope throughout the middle making it a true Par 4. The 16th Hole is a long difficult Par 3, well bunkered with a ridge running through the middle of the green. One for the attacking golfers, with the barrier of fairway bunkers forcing the decision to go long twice or lay up short and approach with a sand iron. It's an open driving hole, but accuracy is needed, with all the emphasis on the choice of the second shot, with those traps neatly placed to catch the wrong decision-makers. A great way to finish, with a long hole, but offering the accurate hitters a birdie chance to sign off with. The long drivers still need a big second shot, but the green is large and inviting once you pass over the fairway bunkers. The green is surrounded by traps with some rough in front and the entry is nice and narrow. 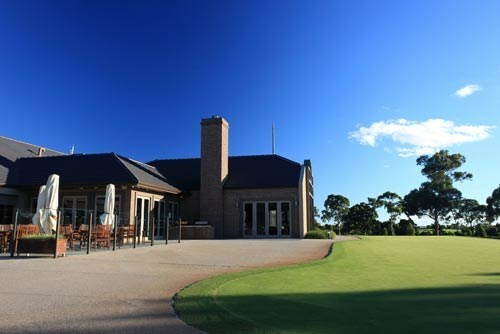 The Royal Melbourne Golf Club is a 36 hole private members club located in the heart of the world famous Melbourne Sandbelt golf region. 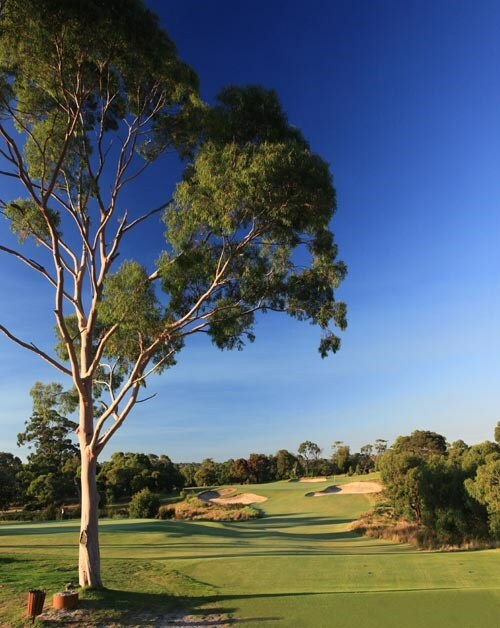 The West Course is regularly rated as the number one rated golf course in Australia (and was recently ranked number 6 in the world) and was designed by world renowned golf course architect Dr Alistair MacKenzie. The natural peaks and troughs in the terrain have been used to maximum benefit with strategically designed and memorable holes throughout. 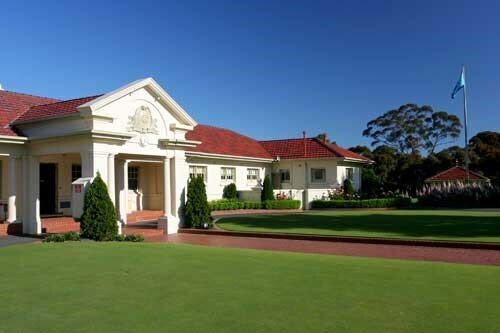 The Royal Melbourne Golf Club is continually rated as the number 1 golf course in Australia and has been as high as number 5 in the world. 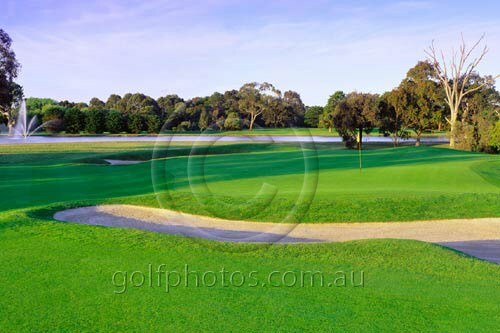 It is the most recognised golf course on the world famous Melbourne Sandbelt. 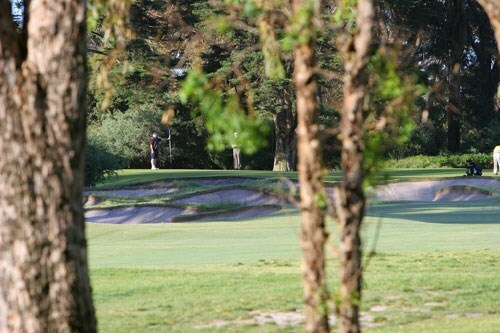 There are a number of key features of Royal Melbourne - tea tree scrub lining the fairways and catching any errant shots, cavernous bunkers surrounding most greens and also placed strategically on most fairways to catch a slightly wayward drive and lightning fast greens that give up their fair share of 3 putts.The golf club boasts 36 holes comprising of the East and West courses. The 18 hole composite course comprises 6 holes from the East Course and 12 holes from the West Course all contained within the one boundary. The West Course forms the majority of holes contained within the main boundaries of the golf course aside from 4 holes (13 to 16) which are played across the road in an adjoining property. The par 5 holes are not long and all are reachable in two for the longer hitters. The difficulty of these holes is not so much in the length of the holes but rather the harsh penalties which exists for a less than perfectly struck shot. The style of the holes is similar and MacKenzie has used the peaks and troughs in the slope of the land to maximum benefit. The course is not hilly by any stretch of the imagination however additional challenges are created on selected uphill approach shots. 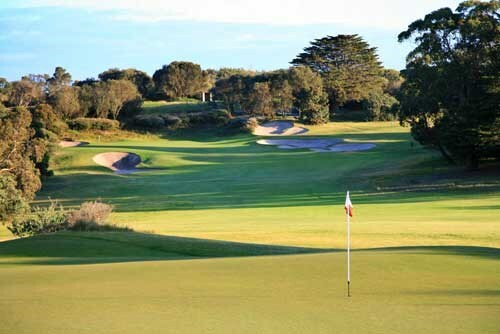 Both courses at Royal Melbourne consists of the full gamut of golf holes - strategic short par 4 holes measuring less than 300 metres (similar to another MacKenzie masterpiece - Cypress Point), classic par 3 holes with undulating putting surfaces, surrounding bunkers and local wind and reachable par 5 holes which reward precise shotmaking. A good open driving hole, this presents a wide area leading up to a big green with little danger. But it's a deceptive hole, with a hooked tee shot leading to danger in unplayable trees on the left. A deep trap on the right of the green, plus a grassy mound and deep rough on the left, makes it a little deceptive. A hard par four and not a lot of birdies. A fast sloping green stands between a par and a possible eagle as this hole can be reached in two. There's plenty of room for the drive and a long iron can put big hitters on the green if they carry the bunkers guarding the entrance to the hole. Hitting too far left will find some thick ti-tree or maybe heavy rough - or the deep bunker. This is a real birdie chance, with a good drive able to set up a comfortable approach pitch. But beware - the green slopes down over the back and it's easy to finish well past the pin. Bunkers on the left are dangerous, but it's an open approach. A tough hole that is a good par if achieved. The drive goes over a hill, with fairway bunkers looming for the short shot. A wood or long iron approach must be straight, as bunkers on either side of the green are trouble. Accuracy and the right choice of club makes this a superb par three hole. A middle iron is needed to cross a valley to the green, heavily fortified with bunkers. The fast green has a steep slope from front to back and is a tricky test. Rated as the most difficult green on the course, the early shots are crucial. A sharp dog leg makes it vital that the tee shot carries a minimum of 200-metres across dense rough and fairway traps, in order to leave the ball in the right position. The elevated green slopes towards the front and produces many three putts. A deceptively easy-looking hole where club selection is vital. The tee shot must be well-placed, with the narrow green and difficult undulations making long putts tough. It goes uphill from the tee, with plenty of bunkers, especially for those who over-shoot the green. The 8th Hole is a deceptive Par 4 that requires a well judged second shot, to a flat green, that slopes towards the back bunkers. The 9th Hole is a testing Par 4, uphill to the green, well bunkered on both sides. A tempting hole for the big hitters, especially if they attack the pin by cutting the corner. But that's where the danger is, as the sand bunker is huge and a miss can be penalised. It's short, but suits the disciplined players who go the right way around. But watch the long drivers tackle that corner! A deceptive hole that tempts the big hitters who challenge the fairway trap and rough on the left as they go direct. A second shot to a sloping green is a long haul and must be accurate, with bunkers guarding the entrance. A drive and a four iron can still produce many bogies. A lengthy fairway which requires a couple of long shots, especially off the tee where some early bunkers await the strong hitters. This modified par four becomes difficult into the northerly wind. The 13th Hole is a challenging short Par 3, with a pitched green making it difficult to get close to the pin. The 14th Hole is a very good Par 4 with the green sloping right to left, making it hard to get close to the pin. The 15th Hole is a short but tricky Par 5 which can be reached with an iron. The green slopes sharply to the front. An extremely tough Par 3 noted for its extensive bunkers and small green. Woods are often required from the tee, however don't overplay, lay up short to find an easier approach. Again two long shots are required, with the drive passing some bunkers on the left-hand side of the fairway. It's a tight driving hole and the second shot to a modified green needs a mid to short iron depending on the wind. Dangerous traps on the right make for a straight approach. This is a pleasant-looking hole, but full of danger. A dog-leg to the right means the drive must carry upwards and over 200-metres to present an approach shot from a downhill lie. The green looks awesome, well-protected by bunkers, but a good eight iron lobbed nicely will pay dividends. 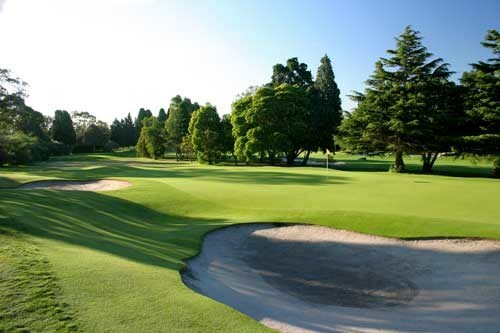 Royal Melbourne's Composite Course came into being in 1959 when Royal Melbourne was asked to hold the Canada Cup (now the World Cup). It was decided to use 12 holes from the West Course and 6 holes from the East Course to keep the new Composite Course within the confines of the home paddock. Since then, the Composite Course has been the site for many international Tournaments and is regularly rated in the world's top ten courses. 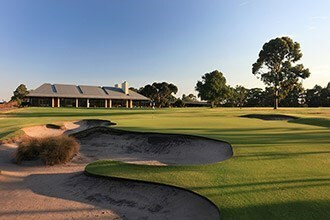 The Presidents Cup Course at Royal Melbourne comprises a combination of 12 holes from the Club’s West Course and six holes from the East Course all contained within the confines of the home paddock. The slight routing variation of this course which sees the 16th hole pass by the Clubhouse is reflective of where matchplay matches on average finish. 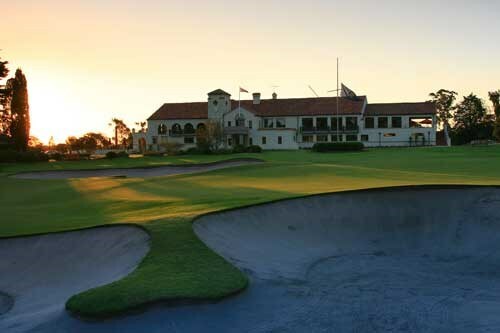 The Presidents Cup course at Royal Melbourne comprises a combination of 12 holes from the clubs West course and 6 holes from the East course all contained within the confines of the home paddock. The slight routing variation of this course which sees the 16th hole pass by the clubhouse is reflective of where matchplay matches on average finish. A new addition to the layout is the inclusion of the 16th hole of the East course which until now has not been included in the traditional composite course layout. [3 West] - A deceptive hole, short with a big fairway trap, but a real birdie chance. Players need to drive left or centre, with a fairway trap guarding the right side and a steep hill running into deep rough for tee shots hooked too far left. The small fast-sloping green is stepped and guarded by deep bunkers at the entrance. [4 West] - A tough hole that is a good par if achieved. The drive goes over a hill, with fairway bunkers looming for the short shot. A wood or long iron approach must be straight, as bunkers on either side of the green are trouble. [5 West] - Accuracy and the right choice of club makes this a superb par three hole. A middle iron is needed to cross a valley to the green, heavily fortified with bunkers. The fast green has a steep slope from front to back and is a tricky test. [6 West] - Rated as the most difficult green on the course, the early shots are crucial. A sharp dog leg makes it vital that the tee shot carries a minimum of 200-metres across dense rough and fairway traps, in order to leave the ball in the right position. The elevated green slopes towards the front and produces many three putts. [7 West] - A deceptively easy-looking hole where club selection is vital. The tee shot must be well-placed, with the narrow green and difficult undulations making long putts tough. It goes uphill from the tee, with plenty of bunkers, especially for those who over-shoot the green. [10 West] - A tempting hole for the big hitters, especially if they attack the pin by cutting the corner. But that's where the danger is, as the sand bunker is huge and a miss can be penalised. It's short, but suits the disciplined players who go the right way around. But watch the long drivers tackle that corner! [11 West] - A deceptive hole that tempts the big hitters who challenge the fairway trap and rough on the left as they go direct. A second shot to a sloping green is a long haul and must be accurate, with bunkers guarding the entrance. A drive and a four iron can still produce many bogies. [12 West] - A lengthy fairway which requires a couple of long shots, especially off the tee where some early bunkers await the strong hitters. This modified par four becomes difficult into the northerly wind. [17 West] - Again two long shots are required, with the drive passing some bunkers on the left-hand side of the fairway. It's a tight driving hole and the second shot to a modified green needs a mid to short iron depending on the wind. Dangerous traps on the right make for a straight approach. [18 West] - This is a pleasant-looking hole, but full of danger. A dog-leg to the right means the drive must carry upwards and over 200-metres to present an approach shot from a downhill lie. The green looks awesome, well-protected by bunkers, but a good eight iron lobbed nicely will pay dividends. [1 East] - This is a real birdie chance, with a good drive able to set up a comfortable approach pitch. But beware - the green slopes down over the back and it's easy to finish well past the pin. Bunkers on the left are dangerous, but it's an open approach. [2 East] - A long-driving hole with a different approach. Accuracy is required off the tee to navigate the dog leg and then a deceptive hill up to the hole often leaves players short. The green is guarded by bunkers along the right fairway and on the left of the green. [3 East] - A deceptive hole; short for a par four, but an accurate iron is recommended off the tee as the target area is small. The green is guarded on both sides by sand traps, but a good eight iron can set up a birdie chance. A trough from the centre of the green running right can be a problem. 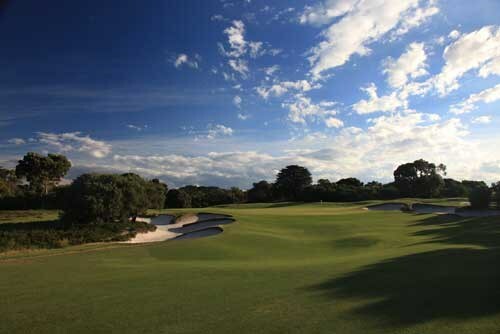 [16 East] - This is one of the most picturesque holes at Royal Melbourne. From a slightly elevated tee the golfers plays over an abundance of scrub to a large, relatively flat green surrounded by a myriad of bunkers some of which cut into the green itself. [17 East] - One for the attacking golfers, with the barrier of fairway bunkers forcing the decision to go long twice or lay up short and approach with a sand iron. It's an open driving hole, but accuracy is needed, with all the emphasis on the choice of the second shot, with those traps neatly placed to catch the wrong decision-makers. [18 East] - A long hole back to the clubhouse, but offering the accurate hitters a birdie chance to sign off with. The long drivers still need a big second shot, but the green is large and inviting once you pass over the fairway bunkers. The green is surrounded by traps with some rough in front and the entry is nice and narrow. [1 West] - A good open driving hole, this presents a wide area leading up to a big green with little danger. But it's a deceptive hole, with a hooked tee shot leading to danger in unplayable trees on the left. A deep trap on the right of the green, plus a grassy mound and deep rough on the left, makes it a little deceptive. A hard par four and not a lot of birdies. [2 West] - A fast sloping green stands between a par and a possible eagle as this hole can be reached in two. There's plenty of room for the drive and a long iron can put big hitters on the green if they carry the bunkers guarding the entrance to the hole. Hitting too far left will find some thick ti-tree or maybe heavy rough - or the deep bunker. 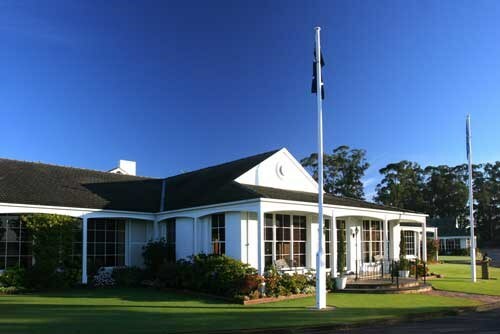 Victoria Golf Club is, in many ways, similar to its neighbour Royal Melbourne. Its layout challenges players of all standards - deep bunkers catch errant shots both at the greenside and off the tee and the greens can be lightning fast. 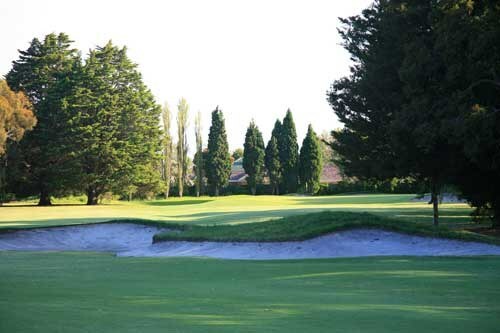 Victoria has hosted a number of major tournaments including the 2010-2011 Masters, 2002 Australian Open, multiple Victorian Opens and other National tournaments. 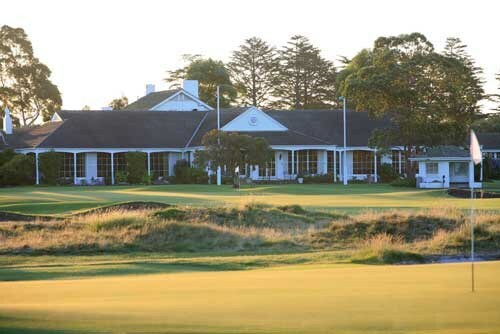 Victoria Golf Club is, in many ways, similar to its neighbour Royal Melbourne. Thick tea tree lines most fairways, deep bunkers catch errant shots both at the greenside and off the tee and the greens can be lightning fast. 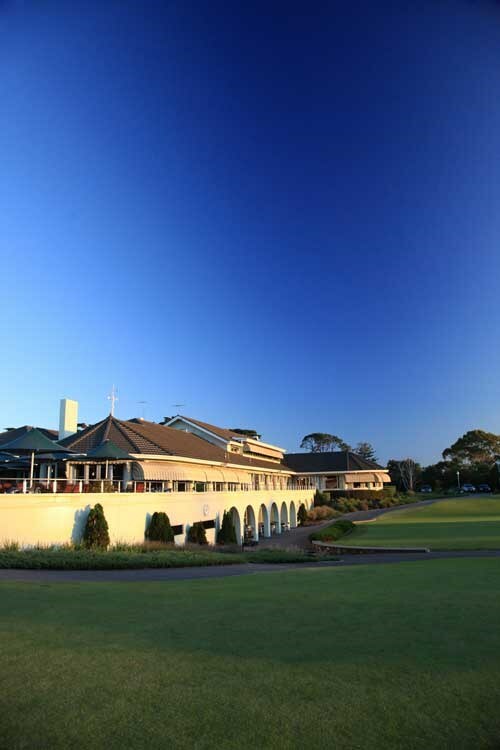 Victoria has hosted a number of major tournaments including the 2010-2011 Masters, 2002 Australian Open, multiple Victorian Opens and other National tournaments. The course has a number of interesting features, namely two driveable par 4s (1st and 15th), back to back par 5s (8th and 9th and 17th and 18th) and in the middle some strong par 4 holes. The short first hole, creates a birdie expectation from your first tee shot and this can often put more pressure on the golfer than if this hole came midway through the round. A short hole does not automatically guarantee a good score and whilst there are plenty of birdies on this hole there are also a fair share of bogies. The 17th and 18th holes provide a chance to claw back lost shots during the round but only if the wind is blowing in a favourable direction. The 18th, in particular, is reachable in two and the large, flat putting surfaces gives up a large number of birdies and even eagles. A well-hit tee shot could skip between bunkers and roll to a stop very close to the flagstick. Any tee shot landing short will either bounce into sand or require a deft high pitch to an undulating putting surface. Aiming left of the 3 fairway bunkers makes sense on this hole; however, long tee shots often run through the fairway into trouble. When the tee markers are forward a three wood is a good selection. A difficult par four, with bunkers on the both sides of the fairway which will snare any shot that strays from the tees. About 160 metres from the back of the right fairway bunker to a green with a narrow opening. A tightly bunkered one-shotter to a heavily sloping green, protected by gaping bunkers. Most balls finish short on this hole in the front bunker. Playing this hole at its full length means the fairway bunker is out of reach for most players. A left to right second shot is the best option if the green is within range. A difficult par four which needs a long and straight tee shot to avoid thick trees on the right and sand on the left. From the start of the first bunker on the left there are about 190 metres to the centre of a heavily trapped green. A challenging par three. Usually a shot hit to the left of the green will bounce and swing to the centre of the putting surface. A deep bunker guards the right-hand side of the green. Long hitters find a very narrow landing area on the 8th, however the temptation is always there as the green is reachable in two shots. Players capable of carrying the hill with their second shots enjoy a huge advantage on this hole. For many players four shots are needed. Fairway bunkers are severe on both sides. Bend your tee shot to the left on this par four to avoid deep bunkers at the corner of this slight dog-leg. From here the second shot is about 125 metres from a bushy tree at the right of the fairway to an elevated and well bunkered green. A difficult two-shotter, through an avenue of trees slightly to the right, with lots of trouble along that side of the fairway. The second shot is slightly uphill to a heavily trapped and tricky green. At its full length this hole is best played as a par 5 by most golfers. From the forward markers in favourable conditions the fairway bunkers can be carried reducing the hole to a wedge second. This par four requires a tee shot hit over a crest, with a second shot from a downhill lie. The bunker at the right of the fairway is some 185 metres to a ridge on the green. This par three is the easiest hole on the course (in theory) and should bring some breathing space. However, it requires difficult uphill play to a heavily trapped green that contains many vicious rolls. A difficult short hole. A very short par four that can be reached in one with a tee shot aimed right of centre. The ball will kick left from there towards the green. There are trees on the right and a stray shot will also be snared by bunkers along the left. A par three which is usually affected by the wind. The conditions will determine a long iron or a wood which must be struck uphill boldly to avoid trouble all around the green. A dog-leg par five which curves to the right and requires three good hits to a very fast putting surface with a tricky borrow. Avoid the fairway bunkers on both sides, the closest of which is some 140 metres to the left-hand side of the green. This par five offers the golfer the chance to finish with a birdie four. However, strategically placed bunkers catch many tee and second shots. The green falls sharply from right to left and may require several putts. 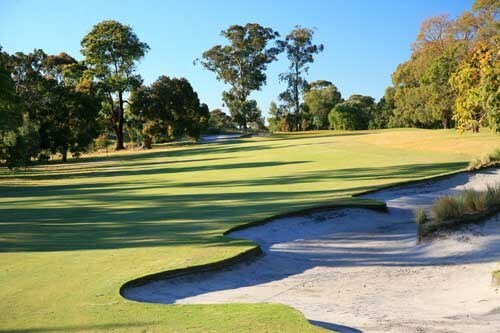 Woodlands Golf Club is a very underrated sandbelt course and somewhat of a hidden gem. 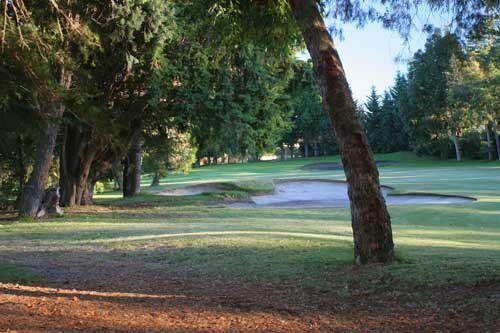 Highly regarded by golfing purists, the championship layout features small and fast greens. The narrow fairways are all pure couch and offer a great surface from which to play. There are many bunkers to overcome, particularly the long bunker shots to pins which always seem too close to the bunker edge. 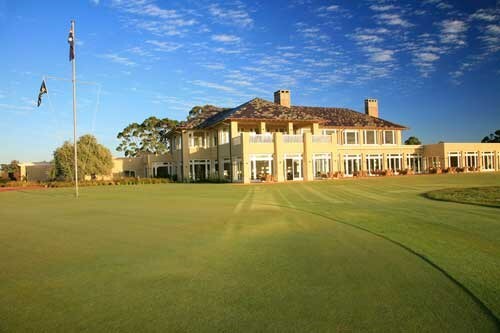 Woodlands Golf Club is located in the renowned Melbourne Sandbelt. Highly regarded by golfing purists, the championship layout provides a true test of golf. Noted for its high level of course presentation and friendly club atmosphere, Woodlands provides a complete golfing experience. Golfers will remember Woodlands because it tests all aspects of their shot-making ability. The greens are small, hard and very fast. The narrow fairways are all pure couch and offer a great surface from which to play and there are many bunkers to overcome, particularly the long bunker shots to pins which always seem too close to the bunker edge. 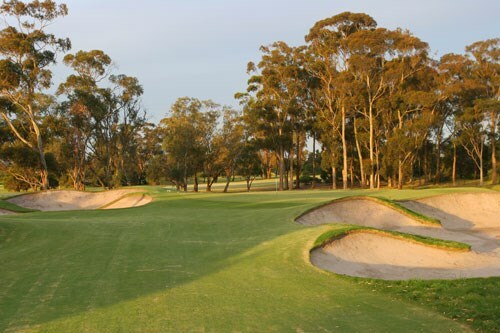 Woodlands combines the clever use of short but challenging par 4 holes with "sandbelt bunkering" and generally large putting surfaces. It provides that overwhelming feeling that you have to work the ball around the course, and never, never slog it. 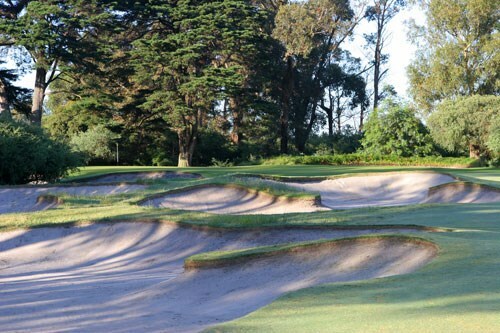 It is in fact, one of the most underrated golf courses in Melbourne and only now are golfers becoming aware of the challenges it offers. A testing dog leg to start the round. When playing this hole down breeze take an iron or 3-wood to leave a mid to short iron into a receptive green. Bigger hitters can take on the trees, or shape a right to left shot around the corner to create a genuine birdie opportunity. A good drive left of centre to avoid the fairway bunkering and out of bounds fence along the right hand side will give longer hitters an opportunity to go for the green in two. A player of average length can play an iron or 3-wood for the second shot to leave a short iron into a small narrow green. Players of average length need to avoid a cluster of fairway bunkers on the right to leave a short iron to a small and well-bunkered green. Longer hitters can take on the corner to leave a short pitch and another birdie opportunity. Any shots that run through this green can leave a very difficult chip to a back to front sloping green. Position from the tee is paramount to allow any chance of attacking this narrow green. The green is easily reachable, but any shots left or right of pin high leaves a near impossible up and down. Ideal position from the tee is short right to leave a short pitch into a green protected by steep banking on either side. The 5th hole is the first of the four par threes. A medium length hole at 166 metres, the green is set amid a desert of sand. From the tee it is a daunting tee shot and the club to use varies from a 2-iron into a strong northerly to a 6-iron on a calm day. A well placed tee shot is just the beginning of successfully negotiating this strategically designed par 5. The left to right sloping fairway requires a drive down the left side to avoid running down toward the waiting bushland. The second shot can be placed down the left side to avoid the hummocks and thick rough, or longer hitters can attempt to carry the trouble and leave a short pitch into a left to right sloping green. Better to miss this green on the right to avoid difficult green side bunkering on the left. A par on this hole is a good result with most long hitters using a long iron for accuracy followed by an 8 or 9 iron to a very small green. Beware the green as it slopes away to the right quite severely. The 8th hole is a tough, long par 3 where par is always a good score. It is heavily trapped on both sides and requires a long iron to hit the green. If you do miss the green then it is better to do so short where a deft chip should secure your par. A slightly dog legged par 4 generally played into a northerly headwind. The tee shot must be down the left hand side to open the green for anything from a fairway wood to medium length iron. The large bunkers 20 metres short of the green catch anything short, and anything right of the green runs away leaving a difficult up and down. Par is a good result here. This tough par 4 presents a challenging start to the back nine. A good straight drive can reach the top of the crest some 200 metres away. The approach must be accurate as there is thick woodland on both sides of the fairway, and heavy bunkering protecting this small green which slopes away from left to right. Cross bunkers 40 metres in front of this green catch anything short. The stretch of holes through the 7th, 8th, 9th and 10th at Woodlands presents an excellent test of golf. The shortest of all par 3's at Woodlands. This small green is bordered on three sides by large bunkers and thick wiry rough at the back. A good opportunity to catch your breath after the previous stretch of demanding holes. A shortish par 4 of classic design, which rewards an accurate tee shot. The narrow fairway slopes away on the right hand side catching any loose drives so anything down the left of centre is premium here. Anything too long and left can be caught by the fairway bunkering, so a 3 wood from the tee is a sensible option depending on the wind. The narrow green is well protected by deep bunkers either side, and a steep slope behind catches anything through the green. The 13th is a short par 4 where the best option is to play safe with a long iron or 3 wood. The large fairway bunker on the left is not the place to be and anything laid up only requires a 9-iron or wedge to hit the green. A straight tee shot is needed down a very narrow fairway, bordered on either side by heavy scrub and trees. The approach must then thread its way past extensive and deep bunkering on either side of the entrance to a green considered generous in size by Woodlands' standards. A monster from the back tees, a par is a great result even from the members tees on a par 5 fraught with danger from tee to green. A fearsome set of cross bunkers stretch across the fairway some 80 metres from the green, after negotiating these an elevated green protected by a deep greenside bunker on the left and steep slope on the right and behind awaits. A difficult par 4 generally played into a prevailing wind. The ideal position for the tee shot is right of centre to create a better angle for approaching this green protected by a cluster of bunkers along the left hand side. A receptive green but well protected on the right and in the front by a set of deep bunkers. Anything left finds a steep slope that runs into a deep gully or thick rough beyond this. Players who fail to find this green from the tee can struggle to make par. A realistic birdie opportunity to close out the round. A good drive can clear the crest of the hill and run down the slope, beware of the out of bounds fence along the right hand side. Cross bunkers 100 metres from the green can be carried by longer hitters, otherwise leave yourself a short iron to a receptive green protected by relatively shallow bunkers on the left side. 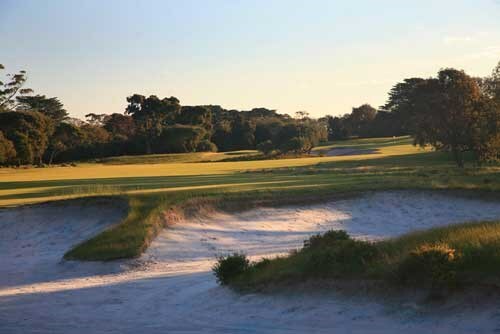 The architect of this renowned Sandbelt course was Alex Russell who, in 1926, formed a partnership with the famed Dr Alister MacKenzie during his visit to Australia. Today, the course remains substantially the same as the original layout and like all great golf courses, has stood the test of time. 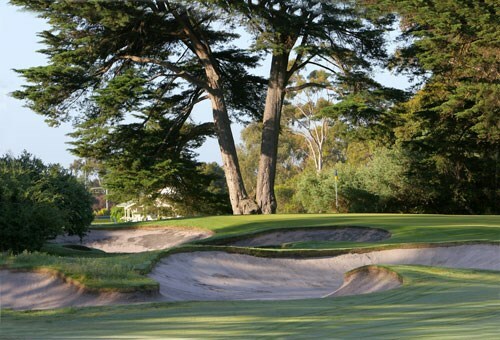 The superb greens and bunkers are the highlight at Yarra Yarra and as good as many of MacKenzie's own creations. 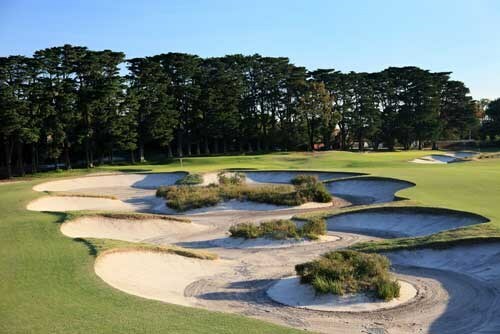 Typically large, fast and undulating, the greens feature some of the most extreme slopes in Melbourne, while the bunkers are constructed to blend naturally with their surrounds and are intrinsic to the strategy of each hole. The course has been the scene of many major tournaments in its history, leading to world-wide recognition by amateurs and professionals alike. 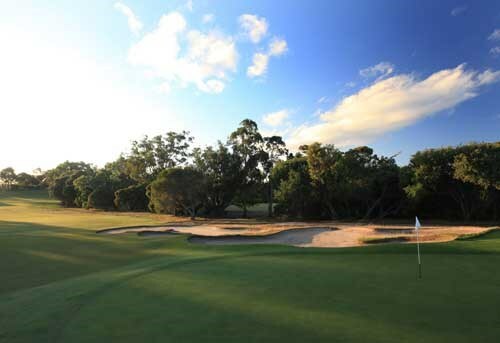 The architect of this renowned Sandbelt course was Alex Russell who, in 1926, formed a partnership with the famed Dr Alister MacKenzie during his visit to Australia. Today, the course remains substantially the same as the original layout and like all great golf courses, has stood the test of time. 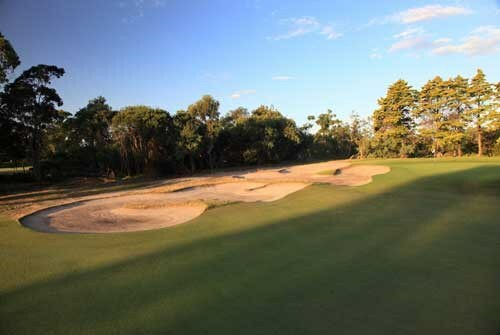 The superb greens and bunkers are the highlight at Yarra Yarra and as good as many of MacKenzie’s own creations. 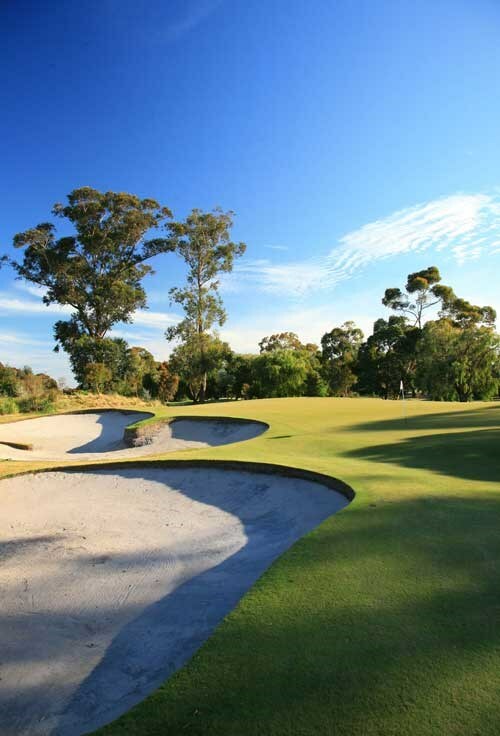 Typically large, fast and undulating, the greens feature some of the most extreme slopes in Melbourne, while the bunkers are constructed to blend naturally with their surrounds and are intrinsic to the strategy of each hole. The course has been the scene of many major tournaments in its history, leading to world-wide recognition by amateurs and professionals alike. C: 15th Hole - A mid iron tee shot to a narrow green. The green has a big tier running through the middle, so the trick on this hole is to hit the tee shot on the same level as the pin. Depending on the wind and the pin position, this hole can play short or very long. Bunkers guard the front, left and right sides of the green, with no easy up and downs. A very tight par four requiring an accurate tee shot then an accurate approach shot can set up a birdie opportunity. Bunkers left and right call for an on target shot into the green. The fifth is a slight dog leg to the right and requires a well struck tee shot to the left centre of the fairway. A collection of bunkers, force you to a decide if you will lay up short, or go for the green, which is protected to the right and left by bunkers. This hole approaches a narrow green and calls for a long iron or wood approach. There are bunkers left and right, so being either short or long should not be a problem. The second hole is a dog leg to the right. Long hitters elect to use a long iron or 3 wood to avoid the fairway bunker on the right hand side of the fairway. The best line is at the white sign in the distance. The green is protected on the right by a large bunker and there are bunkers lurking at the back of the green. So, it is best to aim for the left hand side of the green. An accurate tee shot is a must. There are bunkers situated left and right of the fairway guarding a small landing area. A short iron can set you up for a birdie chance. Best to be below the hole. Bunkers situated front and back. A short uphill hole with a long green. Club selection and accuracy are vital. Bunkers right and deep bunkers left catch any stray shot. Long hitters attempt to carry the fairway bunker on the right opening up the green for a second shot with a long to medium iron.The front left hand side of the green is protected by a well positioned bunker. The green slopes slightly from the front to the back and drops away to the right making approach shots and putting rather difficult. Position the drive left of centre fairway to leave the second shot clear. A good drive and fairway wood for the second shot sets up a short pitch into the green. The ninth requires a drive to the right of centre avoiding the fairway bunkers on the left. The second shot is played to a right to left sloping fairway and needs to be kept right of centre avoiding the fairway bunker on the left. The ninth green contains many slopes and bumps, making approach shots and putting tough. All the trouble here is right. An accurate long iron should be positioned down the left side of the fairway. The second shot is a short iron approach. If you miss the green here its best to be short. The back, left and right sides of the green slope away. This is a tough hole. Bunkers guard the front of this elevated green and club selection is vital. A three tiered green makes putting difficult. The twelfth hole requires a tee shot in the left centre of the fairway avoiding the bunker on the right. The second shot is played to an elevated green sloping from the back to the front and dropping away considerably at the front of the green. It is a good idea to hit one more club than you think. Bunkers guard the left and right sides of the green. Rated number one on the course the thirteenth requires a long tee shot to carry the fairway bunkers and open up the green for your second shot. The green is long and has a large slope from back to front, which makes putting extremely difficult. This is a straight par four. Position the drive down the left centre of the fairway. The trouble here is the ride side of the green, which is guarded by a bunker. The trick on this hole is to be on the same level as the pin. Depending on the wind and the pin position, this hole can play short or very long. Bunkers guard the front, left and right sides of the green. The sixteenth hole offers long hitters the prospect of an eagle putt and most golfers a good chance at a birdie. The drive needs to be in the right centre of the fairway giving you the best line to attack the green with your second shot, which is the left centre of the green. Shorter hitters may elect to lay up short of the bunkers leaving you a pitch and a chance at a birdie. Trees tightly line the left and right sides of this fairway. Aim the drive down the middle of the fairway to set up a short iron approach. The approach shot is played slightly down hill to a large green. This is a great short par 5 hole giving you an excellent chance of finishing your round on a good note. The drive needs to be threaded between fairway bunkers left and right. Your second shot should be placed to the left, which opens up the green for a pitch shot. Long hitters can reach the green in two. Opening in April 2010, the Crown Metropol is the latest in the Crown's range of exclusive hotels located Melbourne's popular Southbank region. Stylish, affordable and thoroughly modern, Crown Promenade Hotel offers all the quality amenities you would expect from a new inner city hotel. Eat and drink in style at Mesh or Tonic Bar, relax by the pool or head to Crown Entertainment Complex. Crown Towers has an ideal location close to lots of shops, restaurants and other activities to keep you occupied. 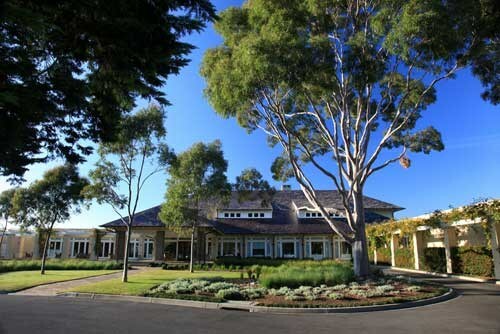 This five star hotel is one of our favourites and is really does set the benchmark for luxury hotels in Australia. The rooms are lavishly appointed and combined with a high level of customer service means you cant go wrong. HERITAGE AND STYLE IN THE HEART OF MELBOURNE Located on legendary Collins Street in the heart of the Central Business District, InterContinental Melbourne The Rialto is one of the city's leading world-class hotels. Steps away is the vibrant Southbank, the Yarra River, the ever changing Docklands, leading tourist attractions, exclusive shops and boutiques and some of the best restaurants this cosmopolitan city has to offer. Mantra Southbank is conveniently situated in Melbourne's vibrant arts and entertainment district, within close proximity to The Crown Casino, Melbourne Convention and Exhibition Centre and the Victorian Arts Centre. Apartments are spacious and well-appointed with a host of modern amenities, and offer a choice of one and two bedroom stylish self-contained accommodation boasting stunning city and Melbourne Botanic Garden views. Designed to appeal to business and leisure travellers alike, the brand new Oaks on Market is within easy access to all that the city is famous for: shopping, theatres, food and wine, while being close to the legal and financial precincts. Quest Cheltenham brings a new level of accommodation to one of Victoria's booming bayside surburbs. The brand new property offers a combination of 49 studio, one, two and three bedroom serviced apartments, all of which are fully equipped and stylishly furnished to cater for business and leisure travellers. Welcome to Quest Moorabbin Serviced Apartments - Your new accommodation and conference solution! Comprising 60 brand new stylish fully self contained 4.5 star (self rated) studio, one, two and three bedroom serviced apartments, Quest Moorabbin is the perfect accommodation choice for both the corporate and leisure traveller. 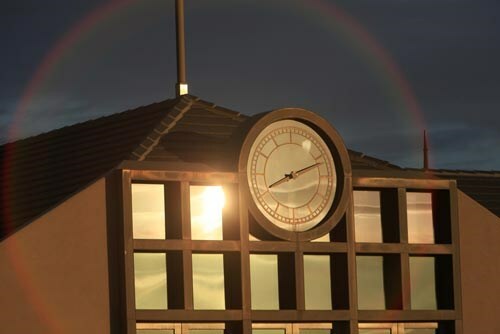 Quest Moorabbin is located only 5km from Moorabbin Airport and 22km south of Melbourne's CBD. The Peninsula Golf & Country Club offers modern accommodation facilities, consisting of standard, suite and executive style rooms. All rooms feature a simple, classic interior design in warm neutral tones. 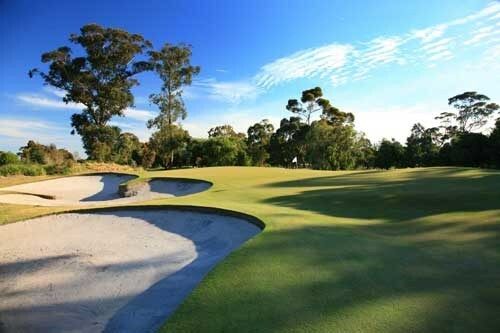 Golf in Melbourne, Australia comprises an amazing collection of different styles of golf courses all located within a 60 minute drive of one another and often much closer. The golf course offerings are plentiful and varied catering for all types of golfer - from the keen golfer seeking to walk in the footsteps of some of the world's great golfers to the casual golfer wishing to play a relaxing game of golf on a well designed and interesting to play layout. 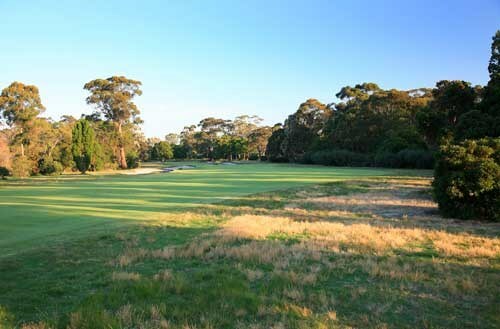 At the centre of Melbourne Golf (both in terms of history and location) lies the famous Melbourne Sandbelt. 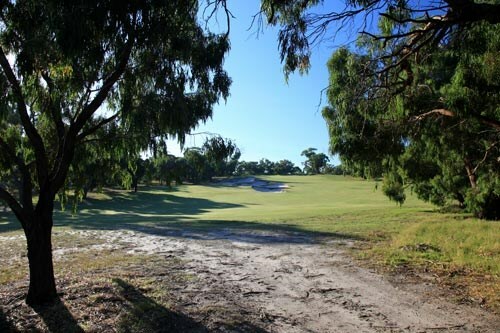 The Sandbelt is a collection of over 15 championship quality golf courses within a 20 mile radius that have been built on natural sandy terrain which is common in the South East of Melbourne. The obvious benefit of the sandy terrain is the natural, almost instant drainage which occurs when the course is subject to rain. Additionally the sandy soil is ideal for the growth and development of pure couch fairways that, in many cases, are like layers of carpet. The thought of taking a divot from such fairways is enough to cause golfers to hit shots skinny to avoid ruining the appearance of the fairways. 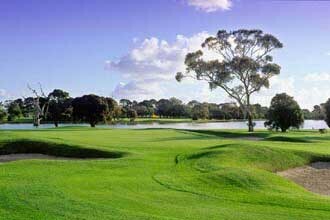 The most recognised of Melbourne golf courses is the world famous Royal Melbourne Golf Club. 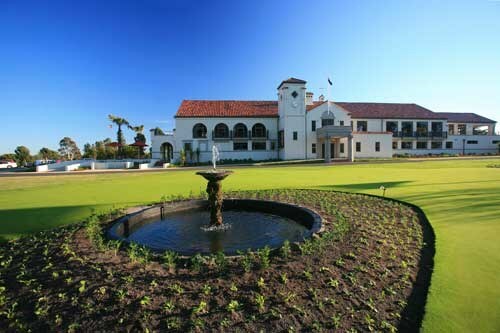 Comprising the East and West courses Royal Melbourne has hosted numerous famous golf tournaments including the 1998 Presidents Cup. 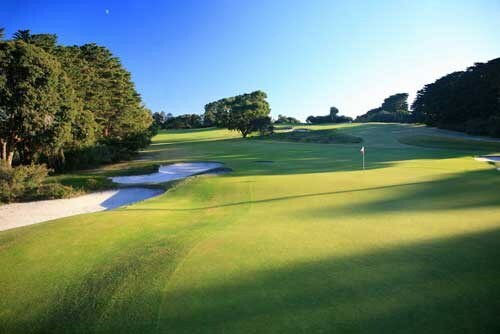 Regularly ranked inside the top 10 golf courses in the world (and as high as number 5), Royal Melbourne is a wonderful course with a rugged, natural beauty. Complete with perfectly shaped, cavernous bunkers (courtesy of Dr. Alistair MacKenzie), lightning fast greens and a varying hole lengths it brings into play almost every club in the bag. The course used for tournaments is known as the Composite course and it comprises a selection of 12 holes from the West Course and 6 holes from the East Course. The Composite course is not open for general play and is only available for play twice a year - once for a member's competition and once for the popular Composite Course tournament open to members of recognised golf courses who flock from around the world to play this magnificent course (GOLFSelect can arrange for you to play in this event if you are interested). 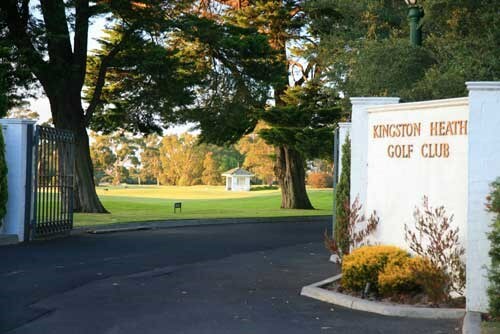 Kingston Heath Golf Club is somewhat of a contrast to its famous neighbour. Its 18 holes were built on only 125 hectares (most courses in the modern era are built on over 250 hectares), it is perfectly manicured and its bunkering and clever use of swales and hollows visually fools the non observant golfer. 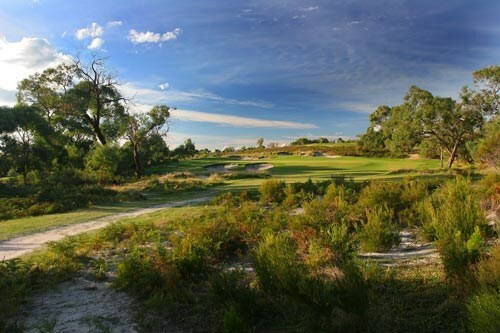 Many people argue it is a more aesthetically pleasing course than Royal Melbourne, however if you wildly deviate from the fairway, the rough (comprising long grass, tea tree and sandy scrapes) will test your ability to get the ball back into play. 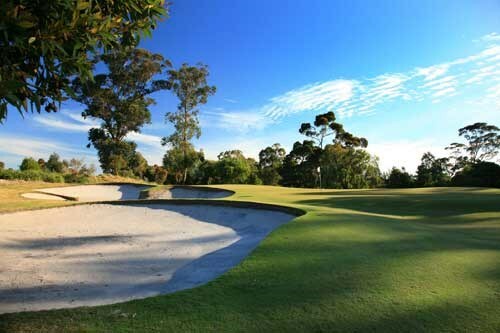 The three par 3 holes are a feature of Kingston Heath and show off the classic, natural bunkering. The fifteenth hole, in particular, is a real test (not necessarily needed towards the end of your round). 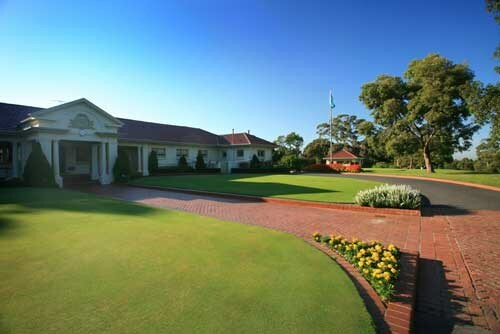 Metropolitan Golf Club is the Australian equivalent of Augusta National. The perfect fairways, marbletop greens and blindingly white bunkers all combine to offer a test of golf not seen previously in Australia. Host to the 2001 World Matchplay Championship, Metropolitan is a tough but fair test of golf. 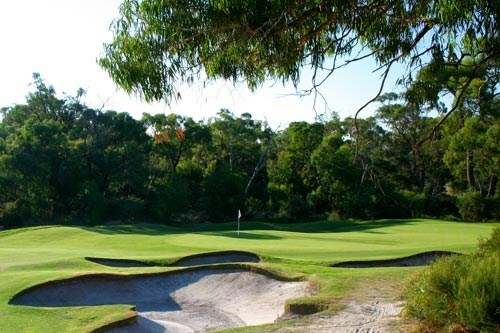 What is truly exciting about the Sandbelt is that, in addition to the famous courses listed above is the large selection of other highly rated courses located often within driver distance of their famous neighbours. 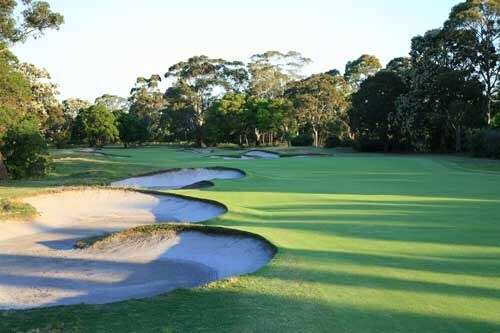 Victoria, Commonwealth and Huntingdale are three courses which have been ranked in the top 100 courses in the world, have hosted National tournaments and are enjoyable to play as well as being a good test of golf. 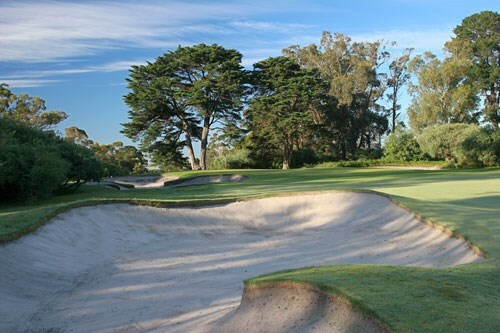 The proliferation of Melbourne Sandbelt courses continues with Yarra Yarra, Woodlands (wonderful bunkering), Spring Valley, Kingswood, Southern, Peninsula (36 holes of golf with accommodation) and Keysborough to name a few. 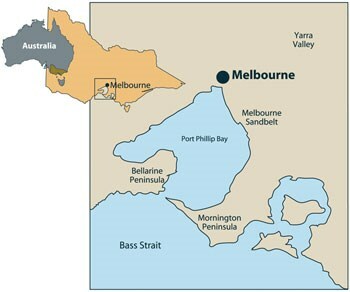 Below are some useful facts and figures for the Melbourne Sandbelt Region. Use these to work out the best time to visit this region.